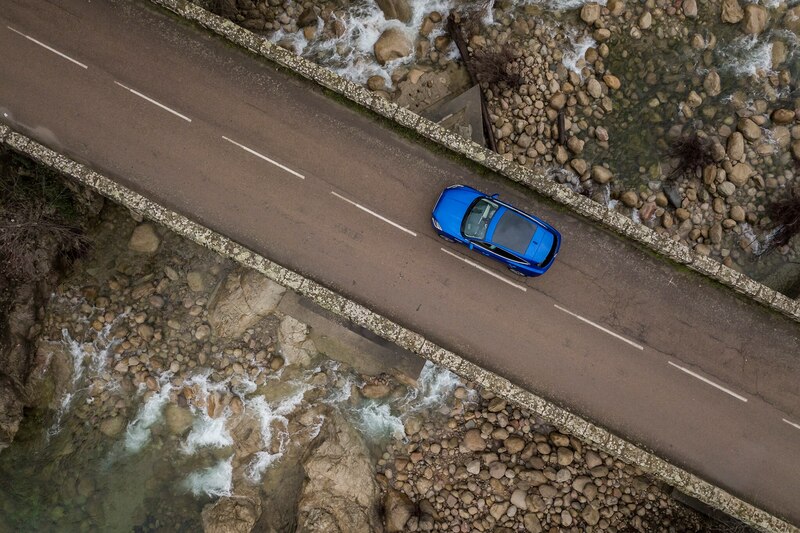 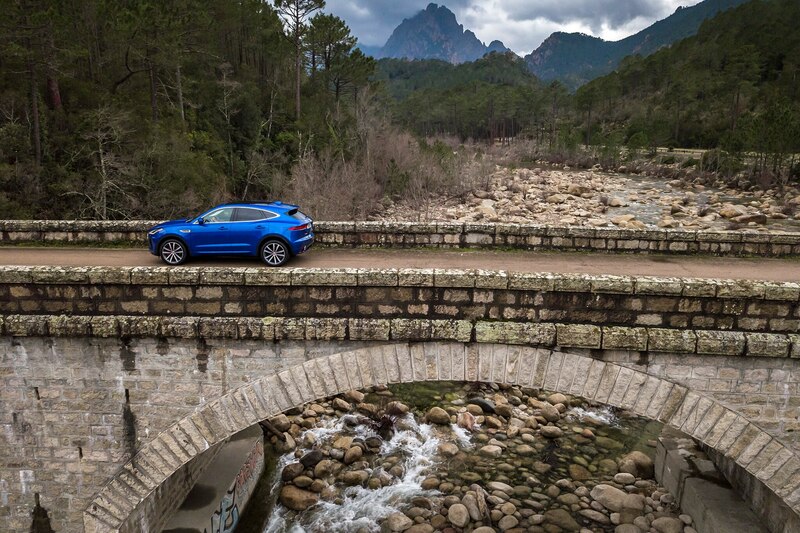 FIGARI, CORSICA, France — A mountainous island covered with winding roads tighter than the average autocross course is not the sort of place that first comes to mind when you think of suitable locations for the debut of an SUV. 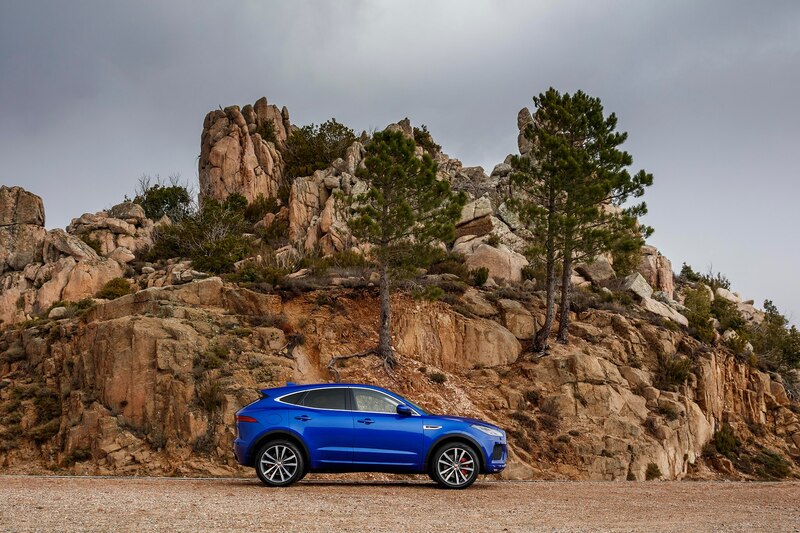 Yet there we were, on the south side of Napoleon’s birthplace, ready to spend a day behind the wheel of the 2018 Jaguar E-Pace. 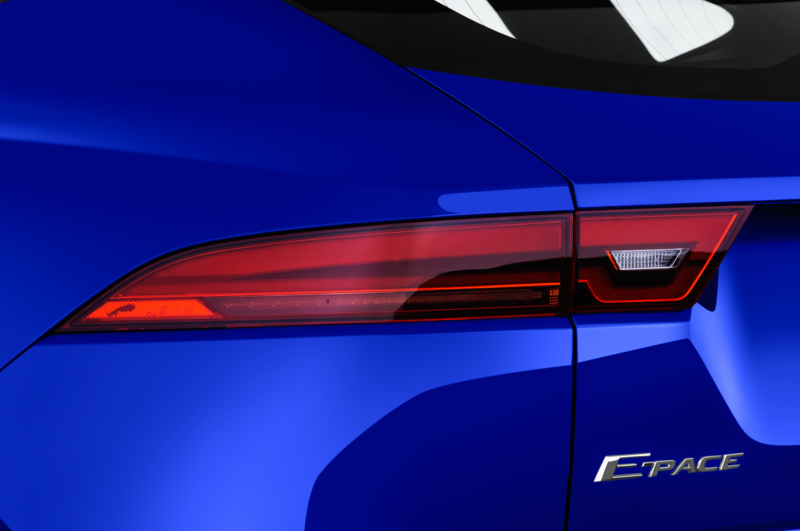 Despite what its name may lead you to believe, the E-Pace is not Jaguar’s upcoming electric crossover. 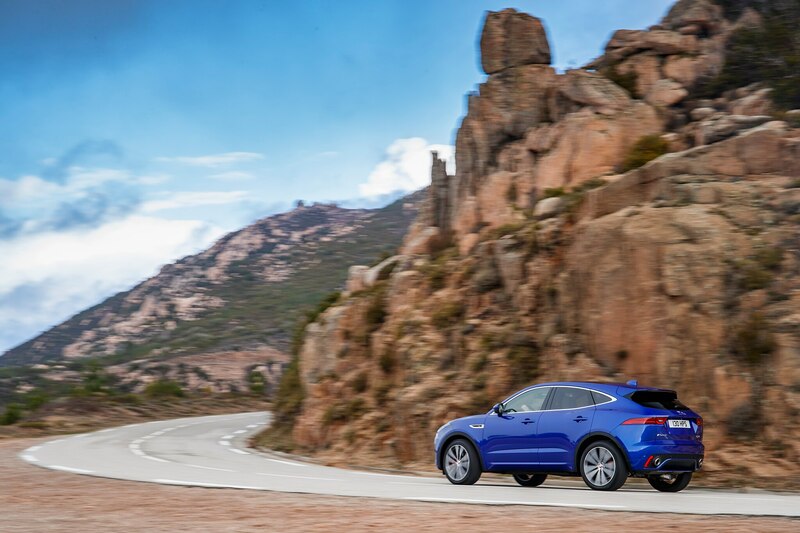 That would be the I-Pace. 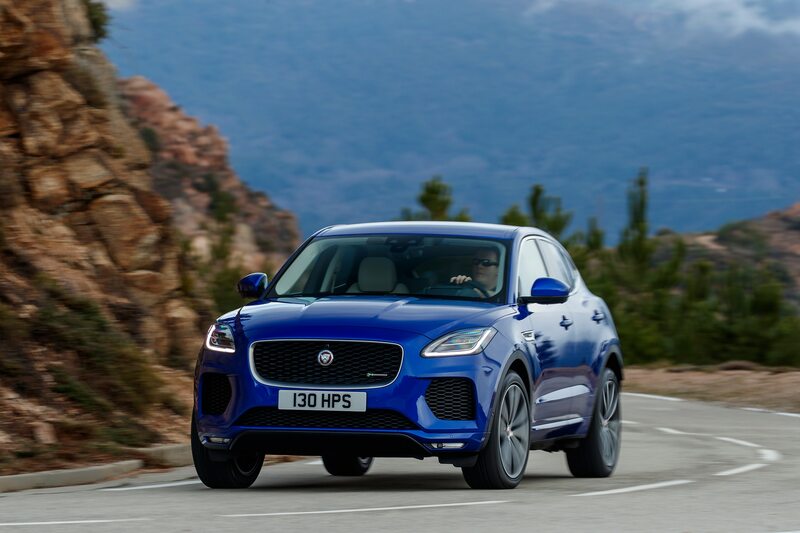 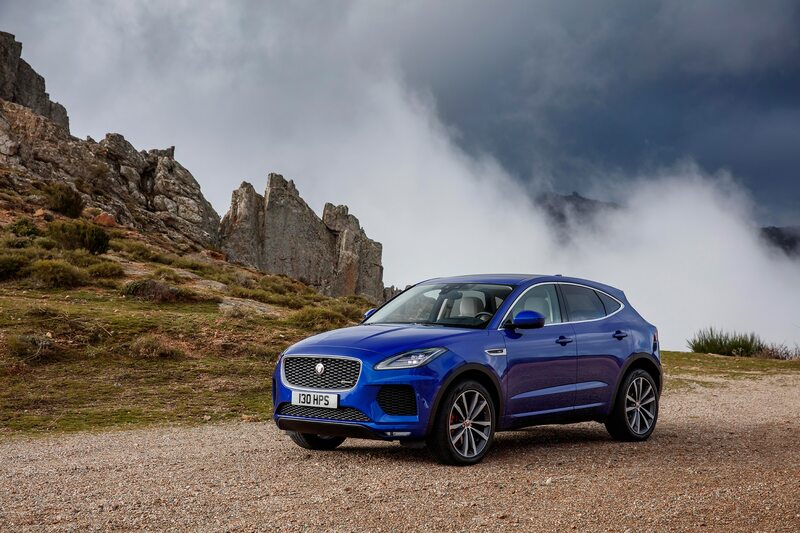 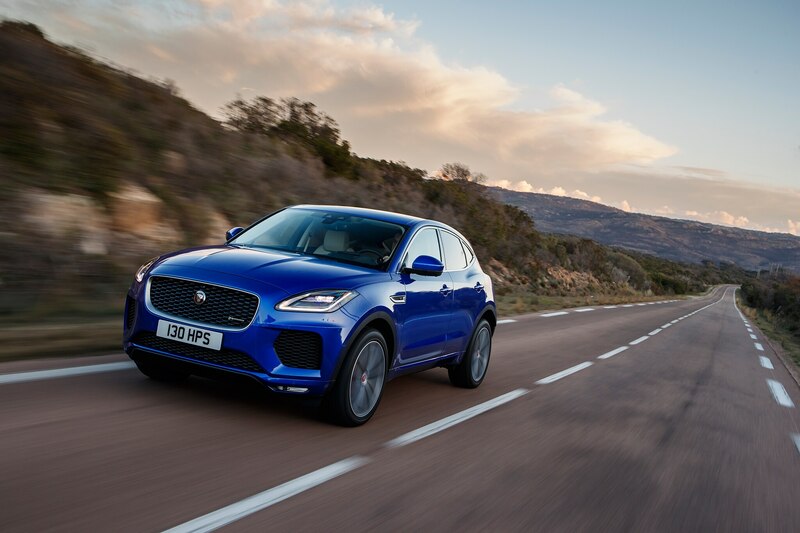 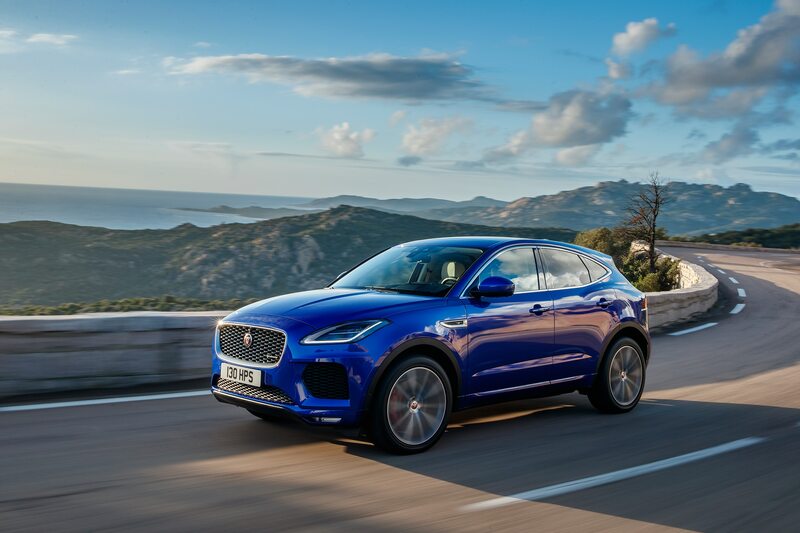 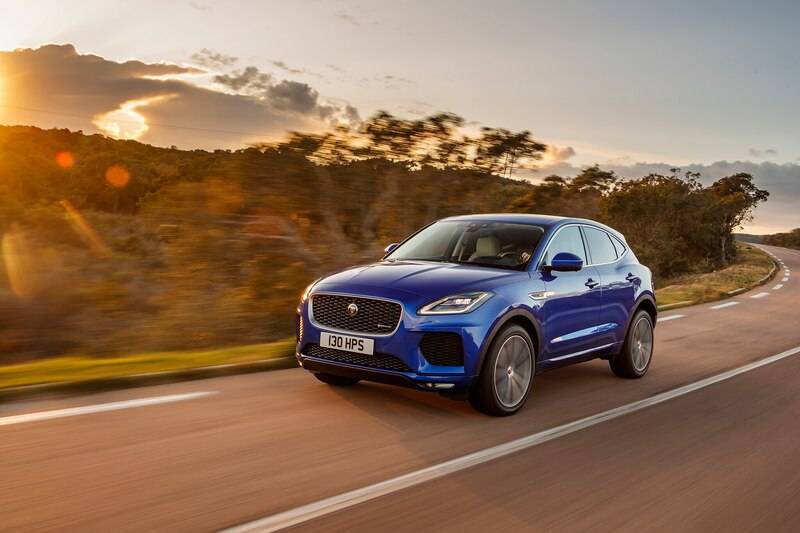 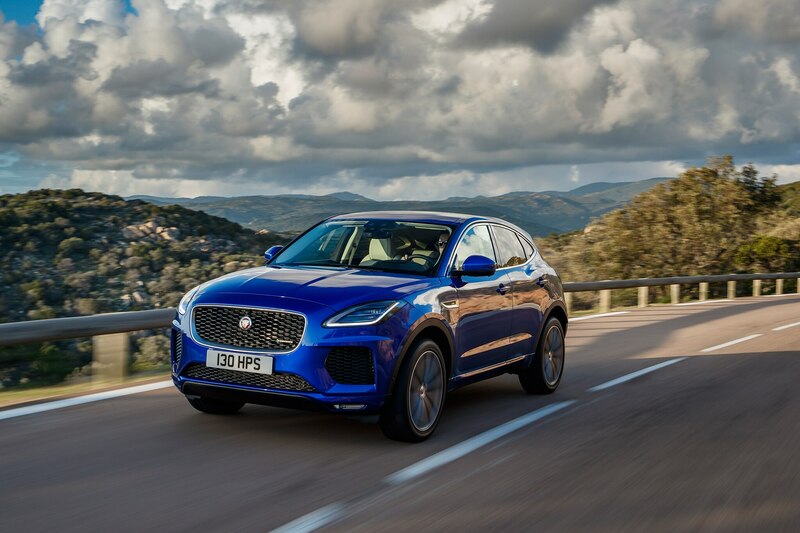 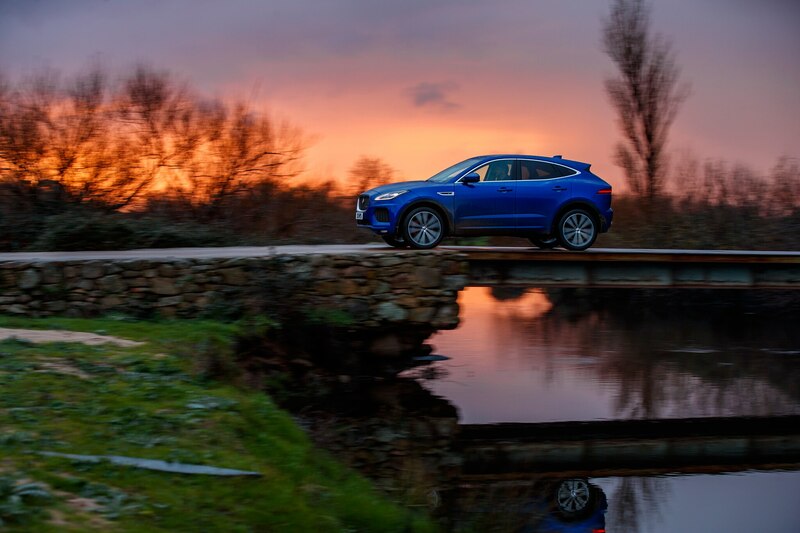 Instead, the E-Pace is Jaguar’s entry into the luxury side of the rapidly expanding compact crossover segment. 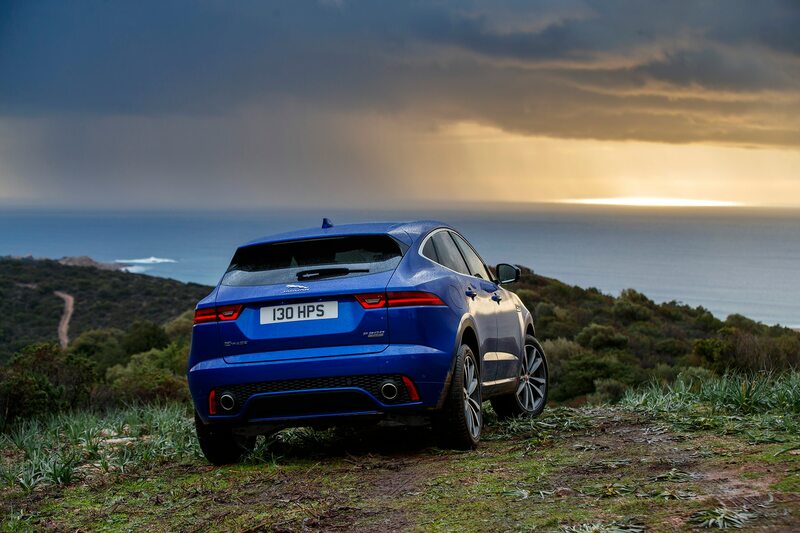 It’s a sharp-looking vehicle that wears the brand’s signature design quite well and stands apart from its big brother, the wildly successful F-Pace. 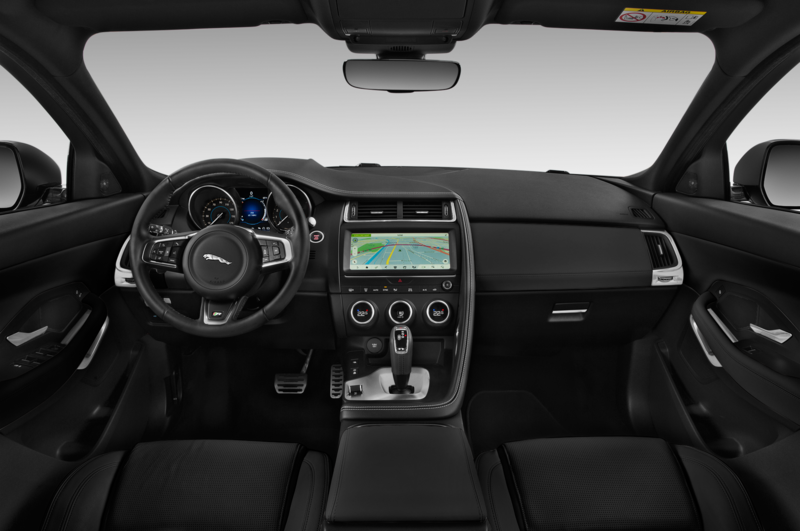 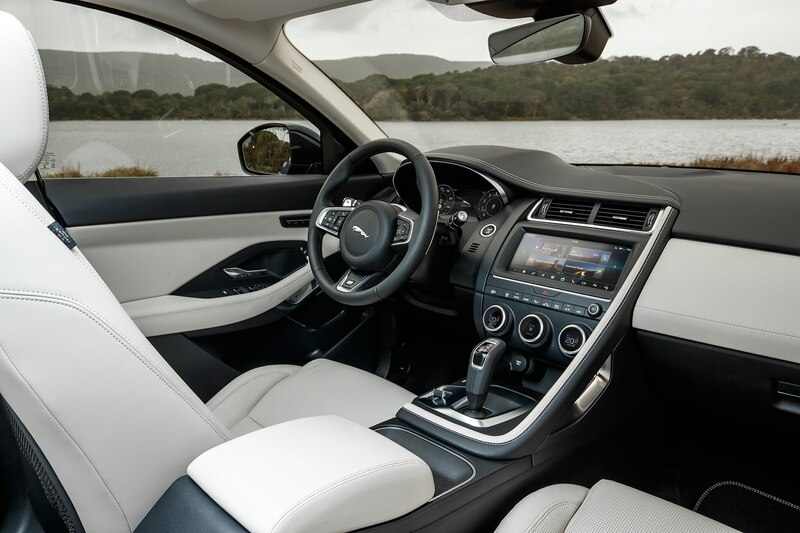 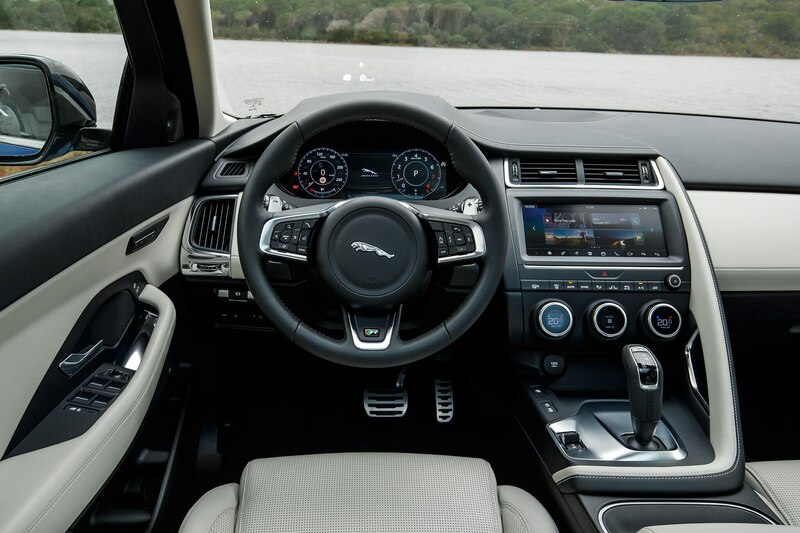 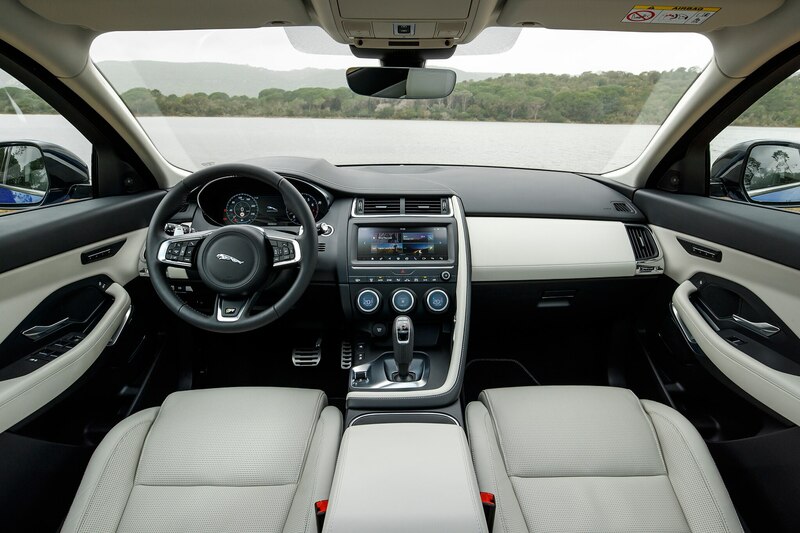 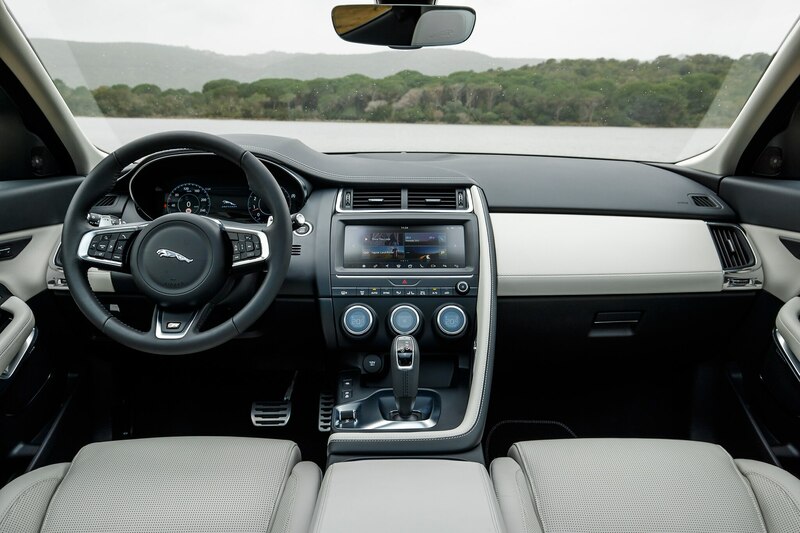 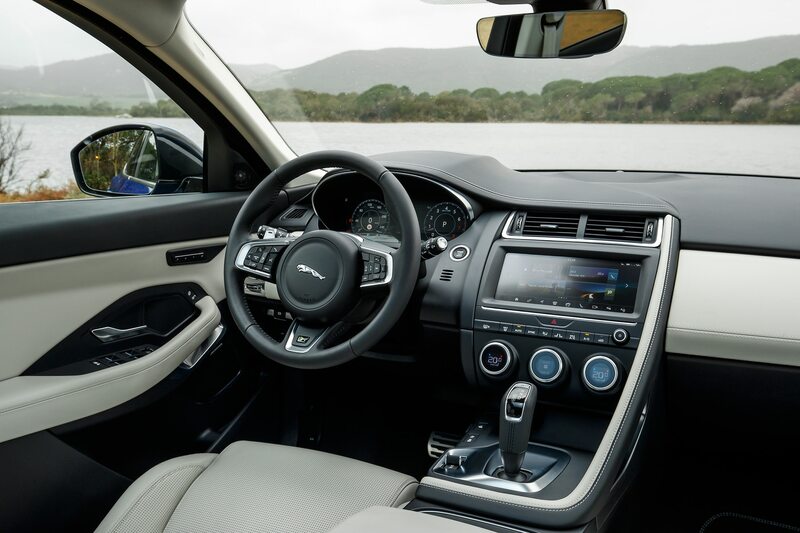 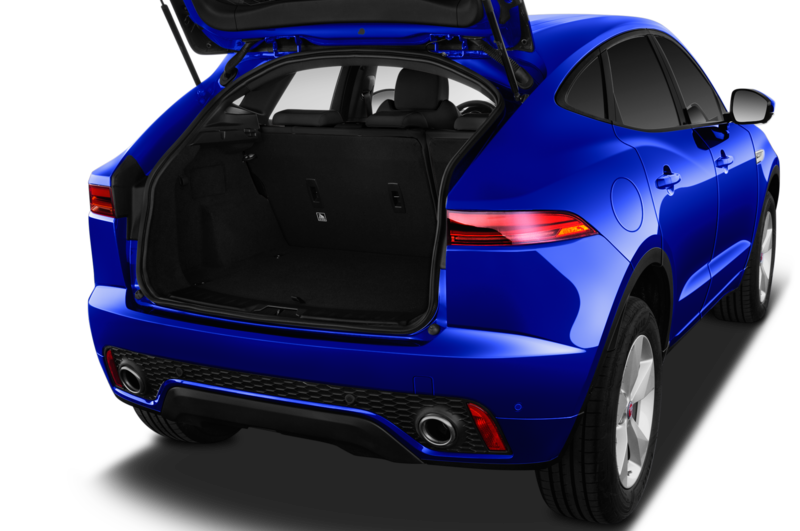 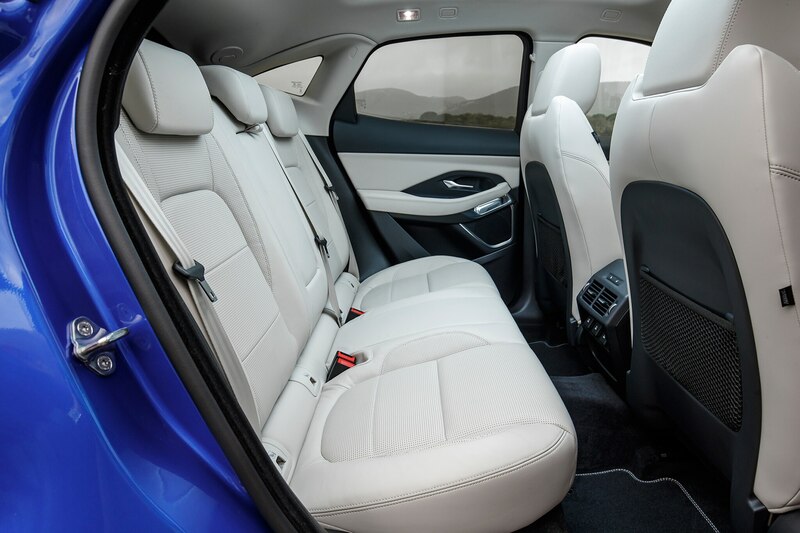 On the inside, the E-Pace is intentionally more F-Type than F-Pace. 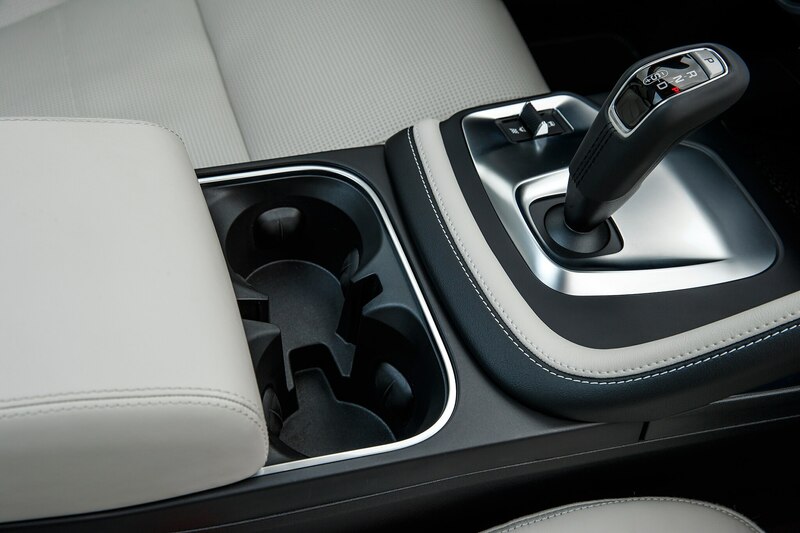 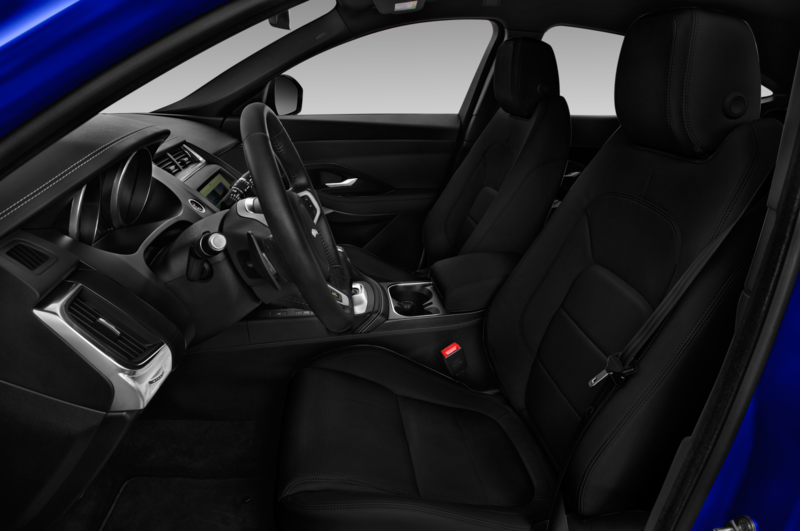 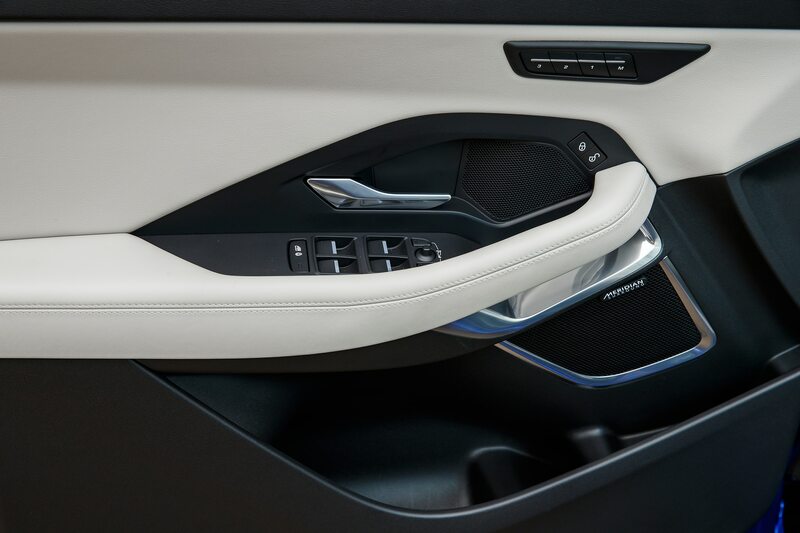 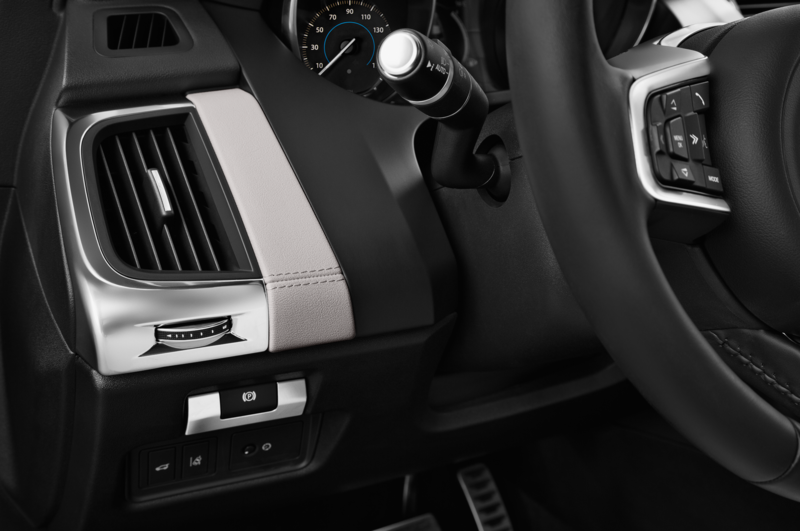 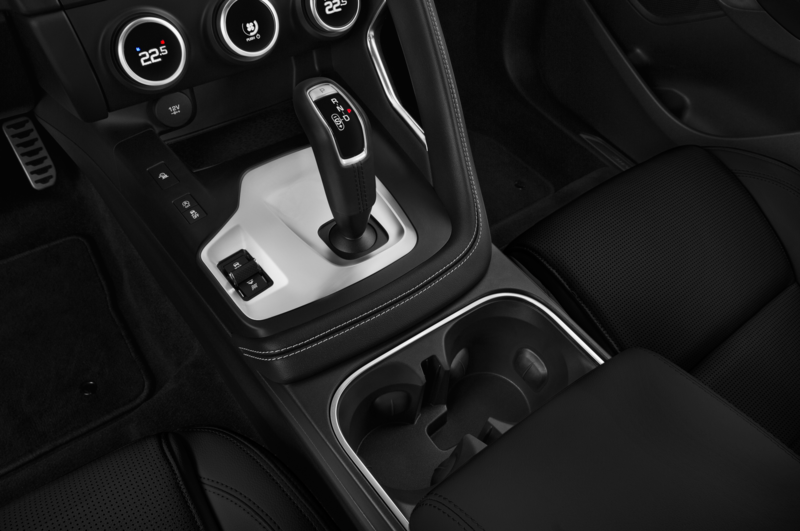 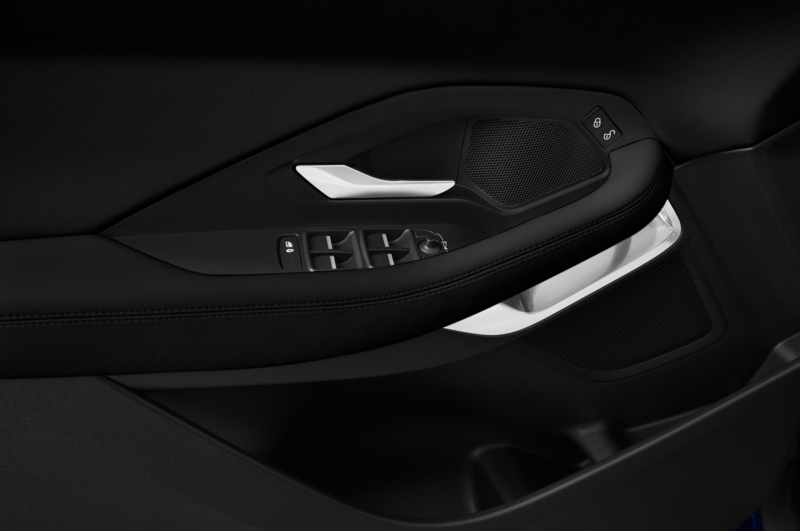 It incorporates the sports car’s center console design and electronic shifter for the nine-speed automatic transmission. 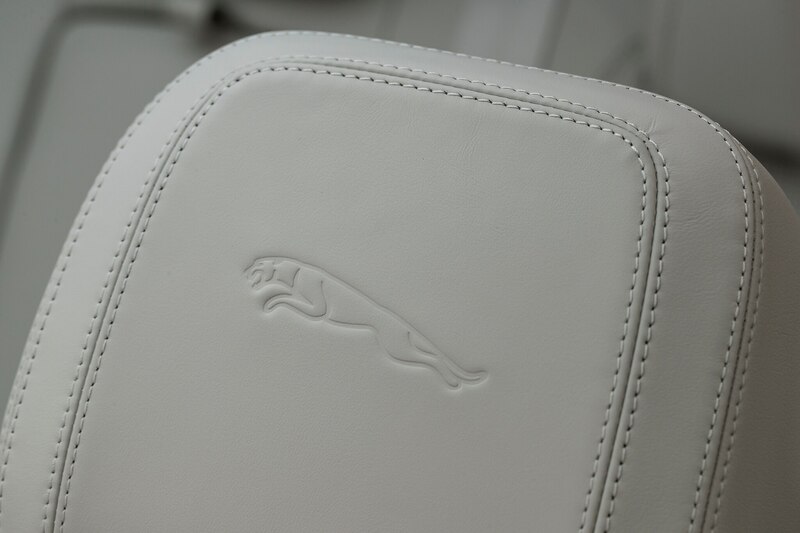 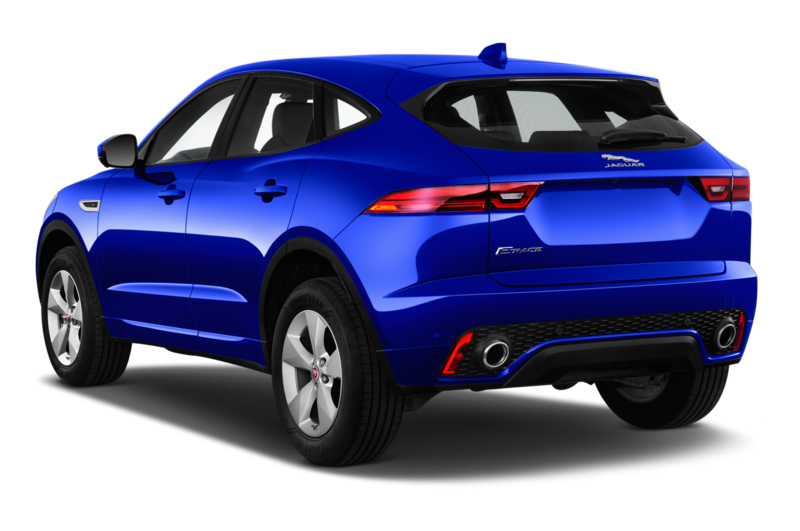 Like the F-Type, the E-Pace also dispenses with decorative trim, sticking instead with a two-tone scheme. 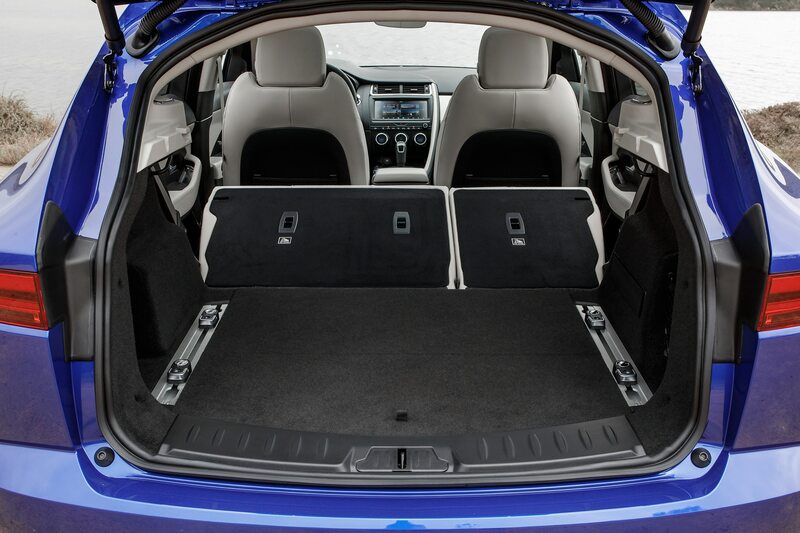 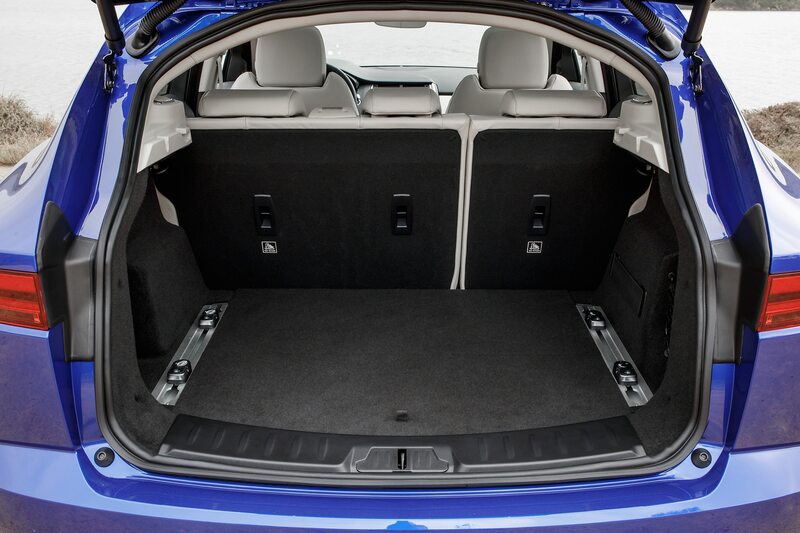 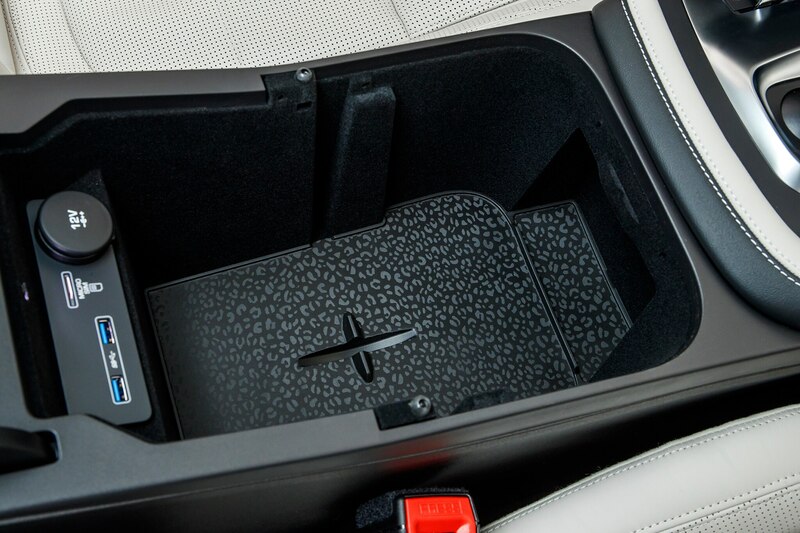 Passenger space is ample in both rows and there’s plenty of cargo space—24.2 cubic feet with the rear seats up and 52.7 cubic feet with them down—but ergonomics are a bit wonky. 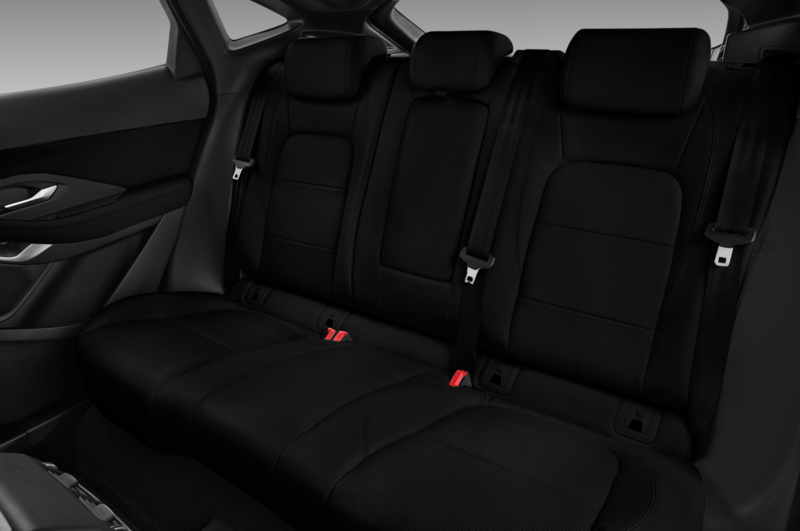 Neither my 6’4” self nor my roughly 8”-shorter driving partner was able to find a truly comfortable driving position (elbow resting positions were either too high or too low, for example), and she also made mention that the end of the seat-bottom cushion rubbed up against the back of her calves. 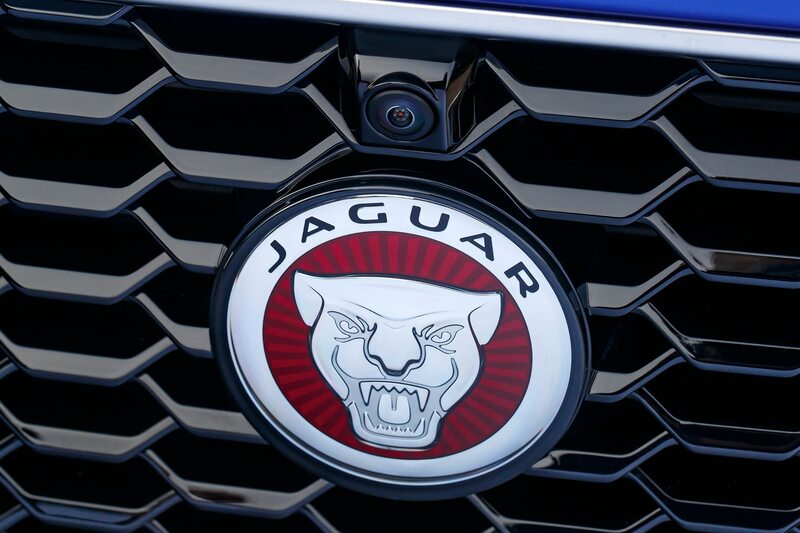 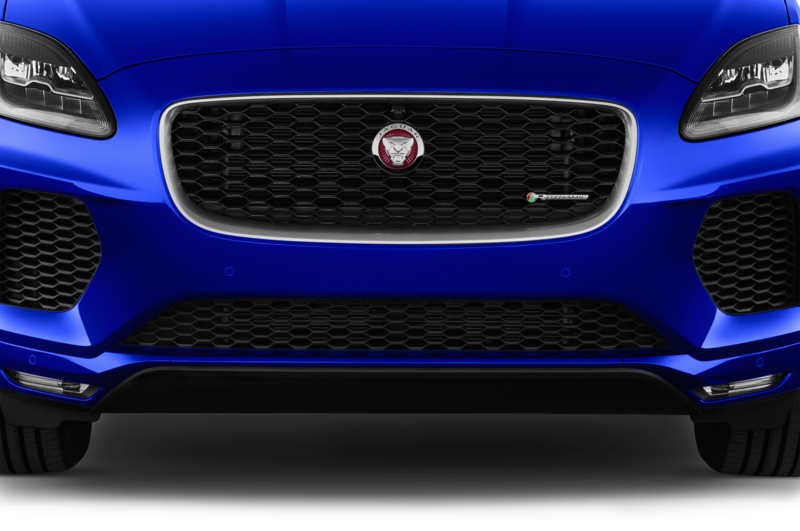 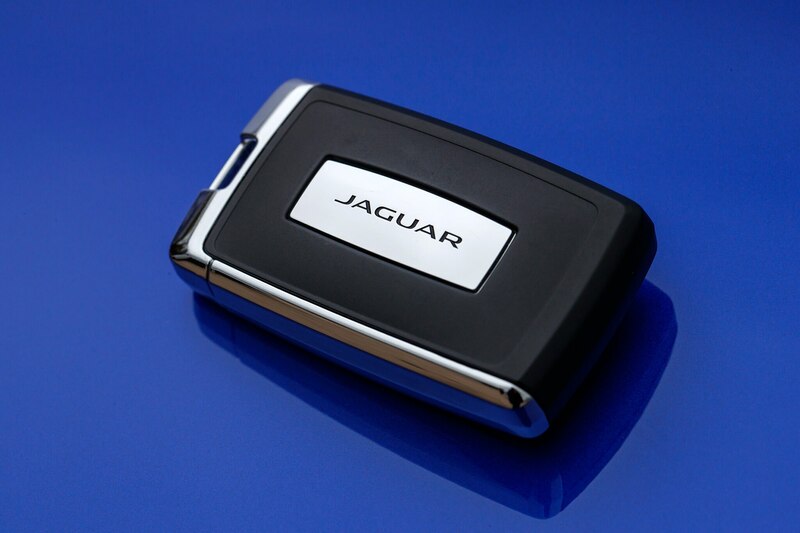 The tech kit is standard-issue Jaguar. 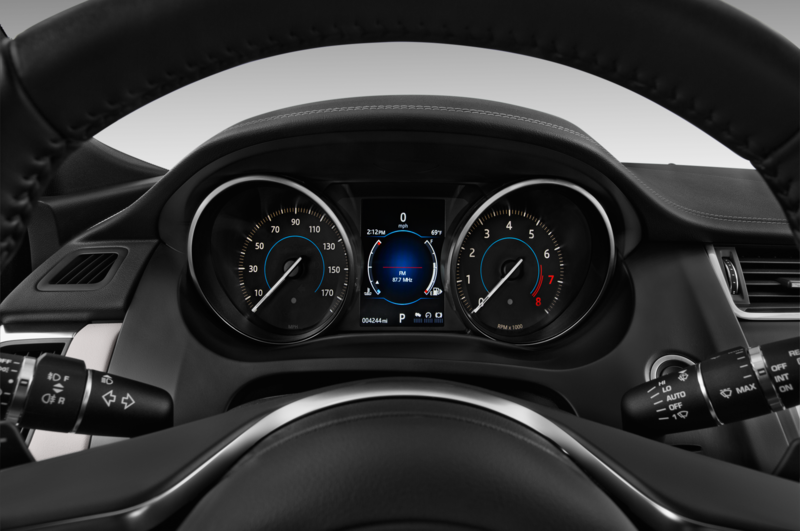 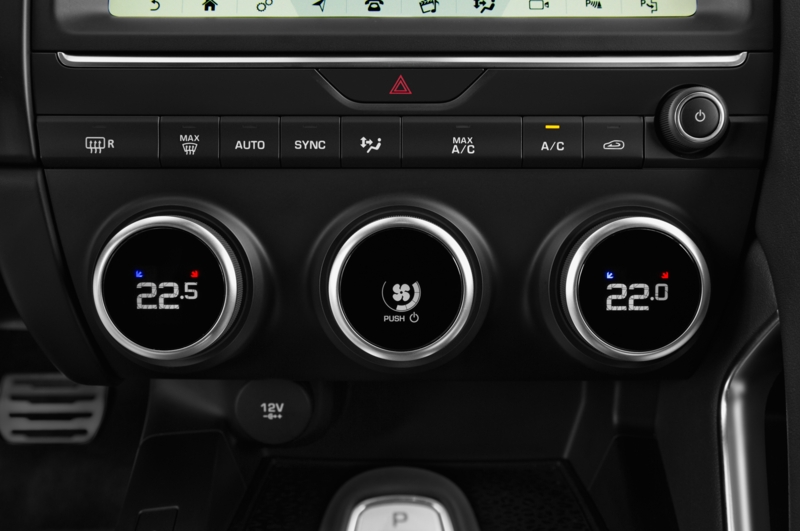 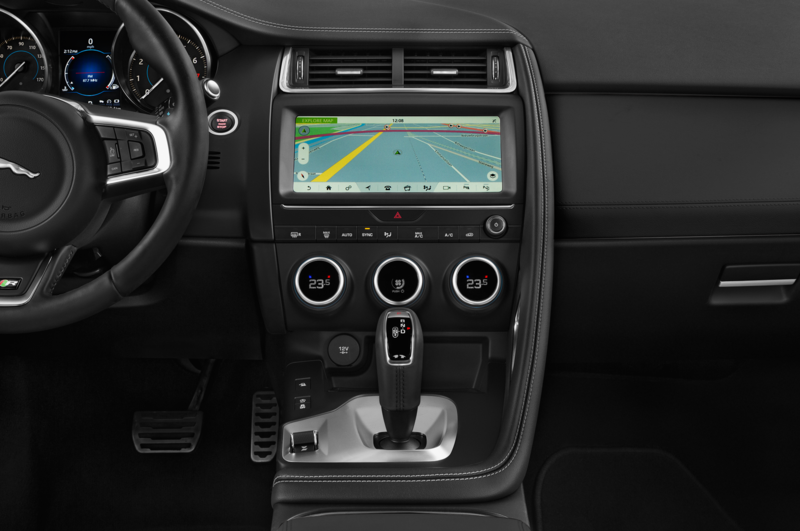 There’s the 10.0-inch InControl Touch Pro infotainment system and its wonky UI, the optional 12.3-inch digital gauge cluster, and handy full-color head-up display. 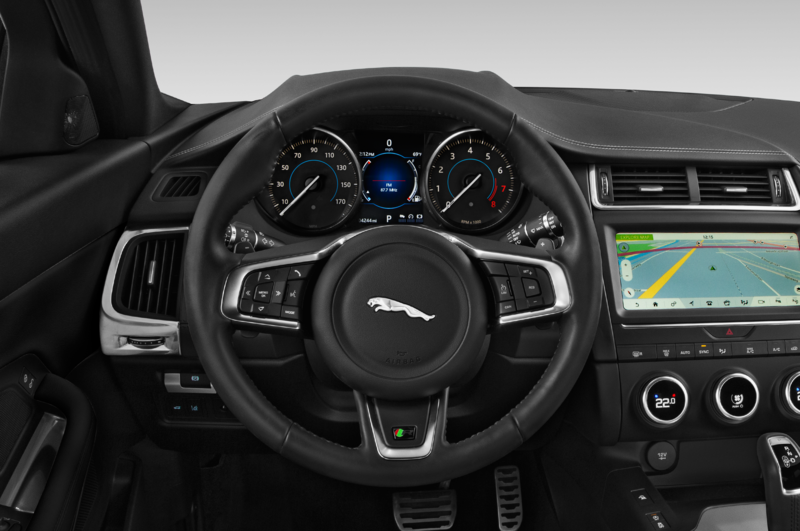 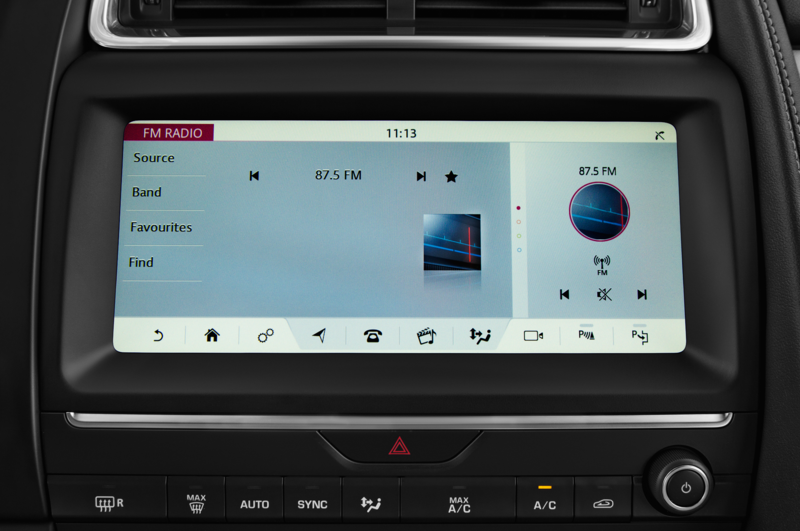 Also, there’s still the notable absence of Apple CarPlay and Android Auto. 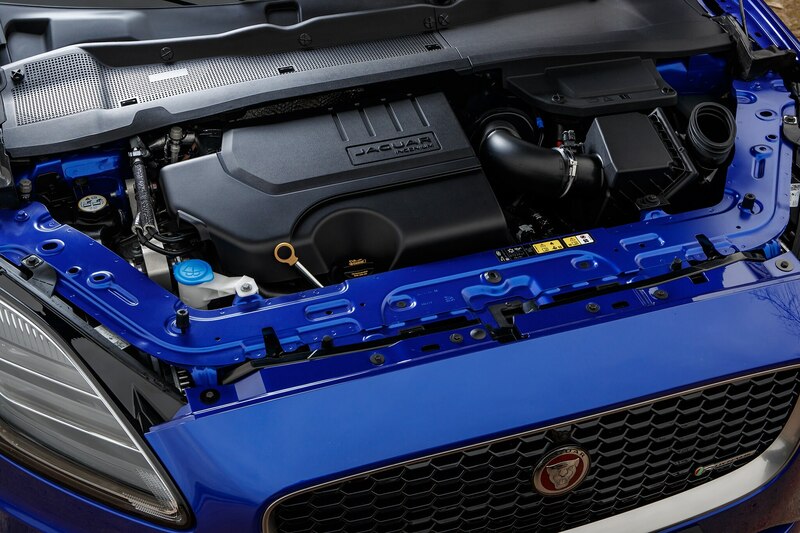 Engine choices for the U.S. are limited to two gasoline-drinking flavors of the Ingenium 2.0-liter turbo-four, making either 246 hp in “regular” flavor or 296 hp in R-Dynamic spec. 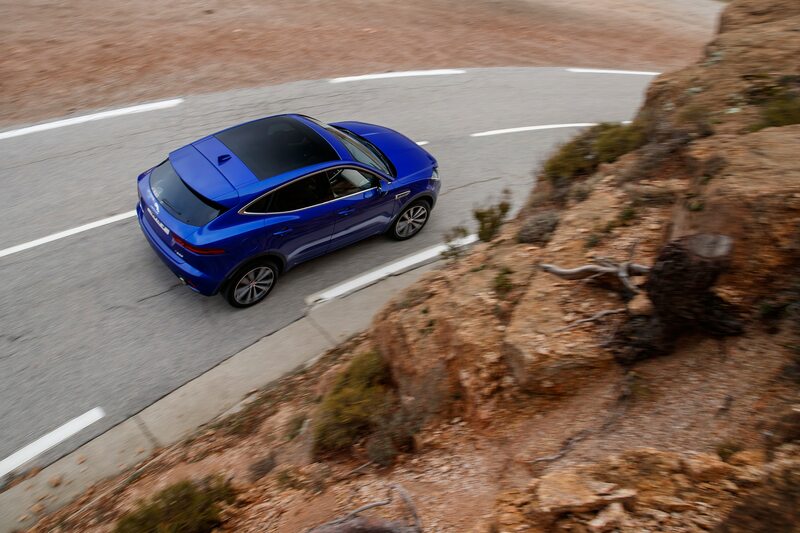 All variants come standard with all-wheel drive. 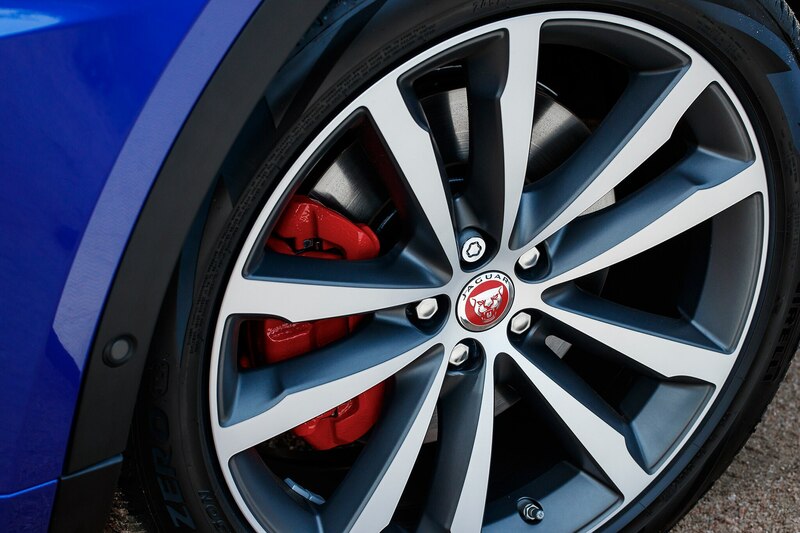 We spent our day in a mid-level S R-Dynamic, where the engine also provides 295 lb-ft of torque starting at 1,500 rpm. 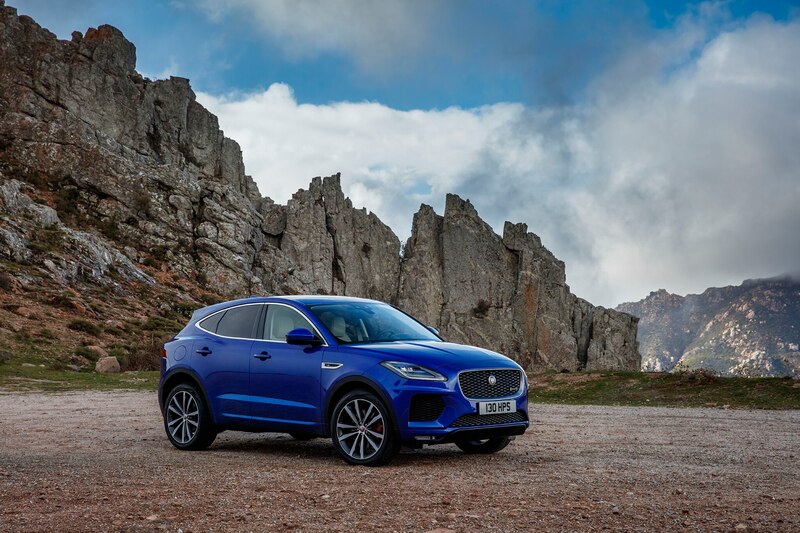 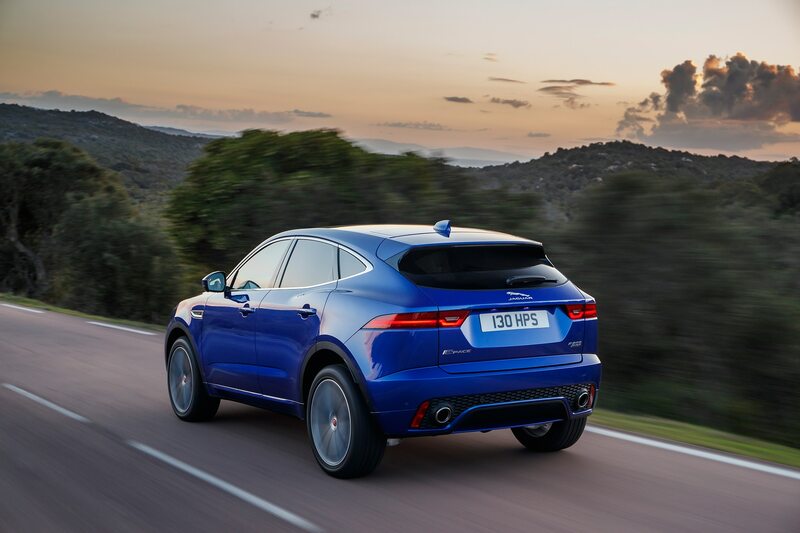 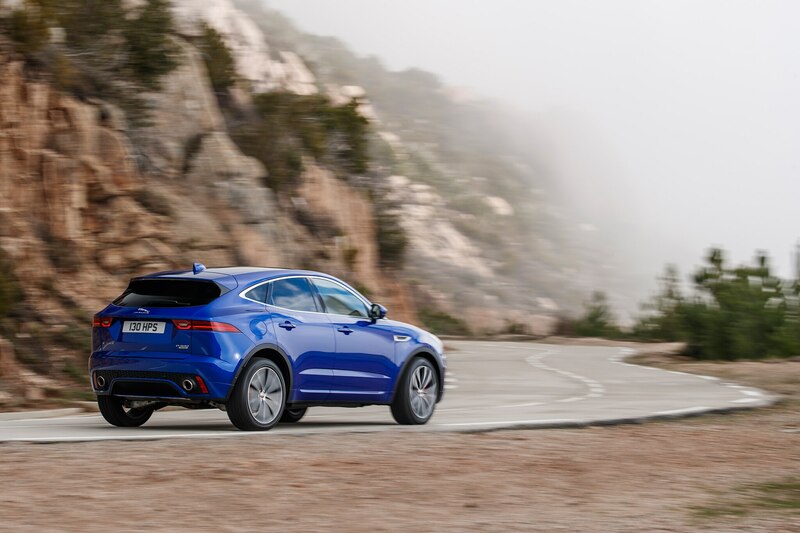 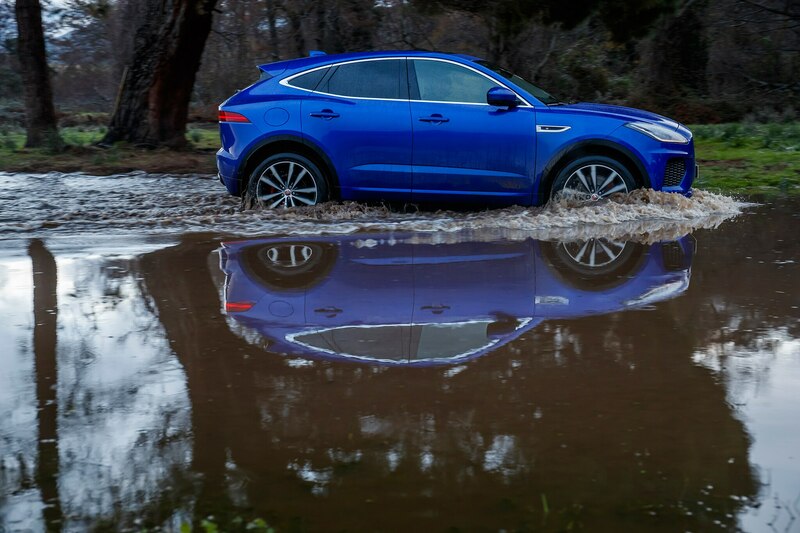 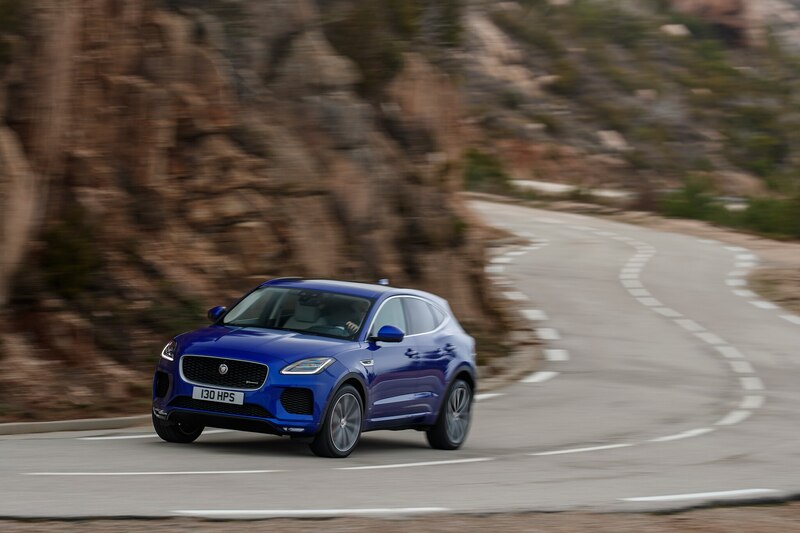 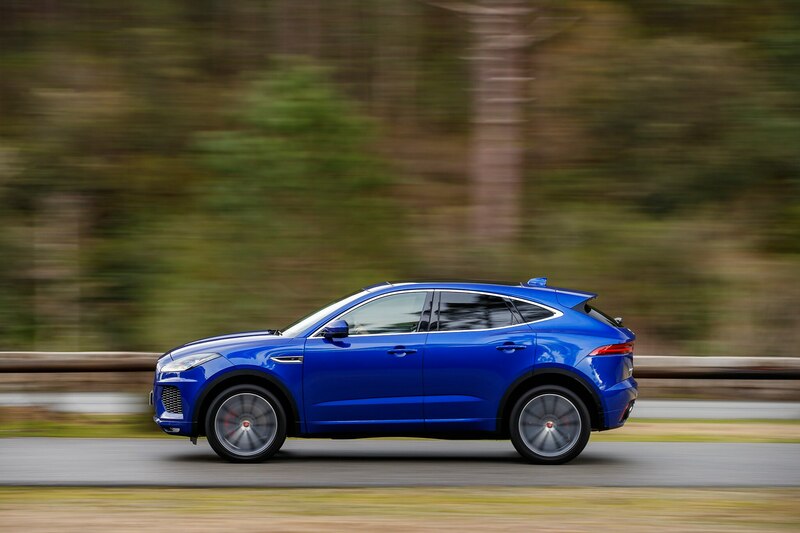 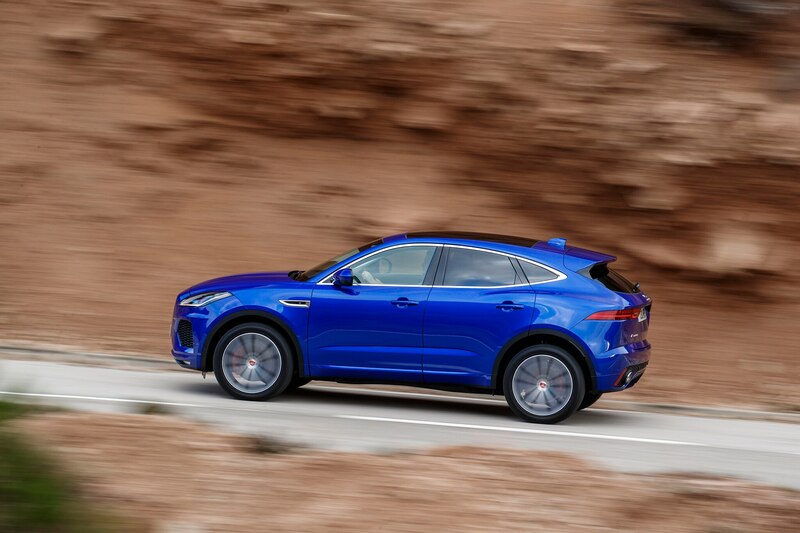 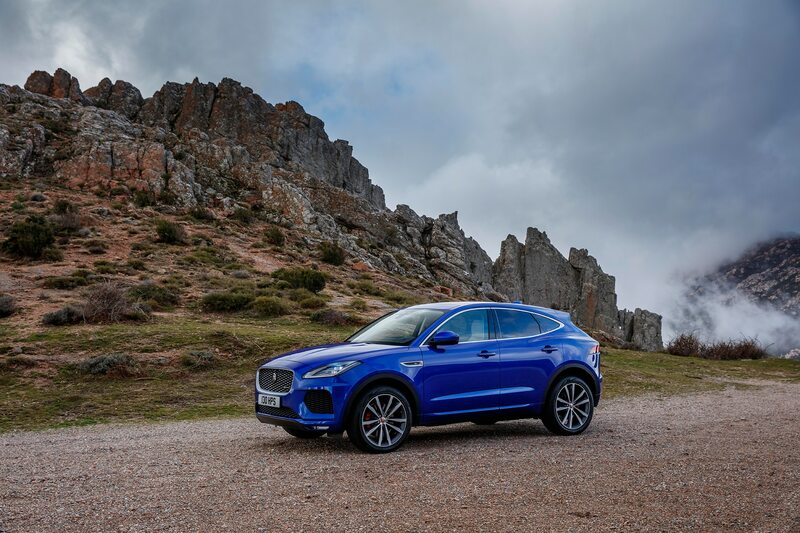 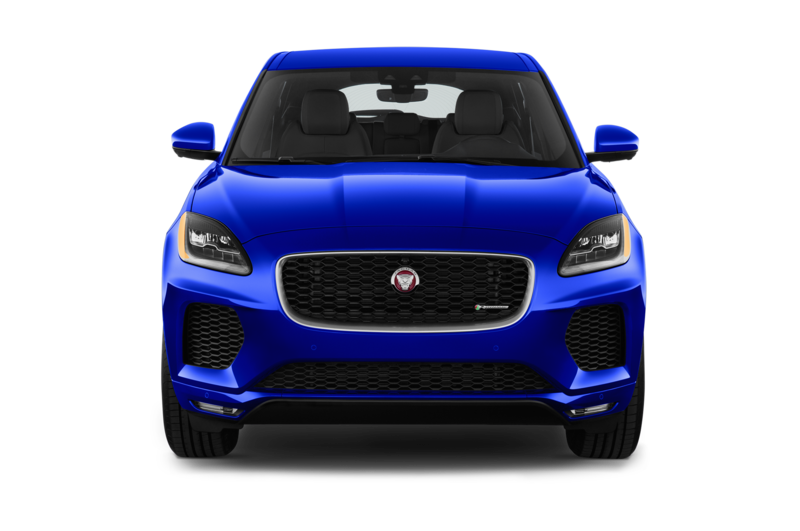 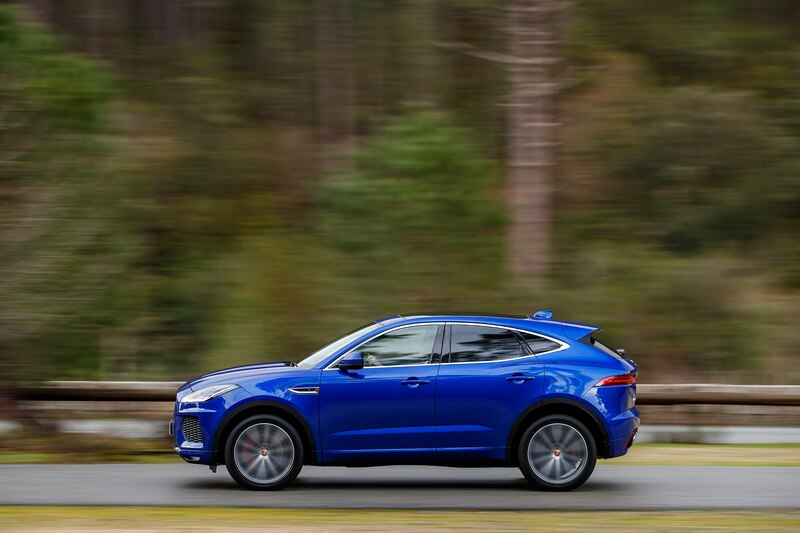 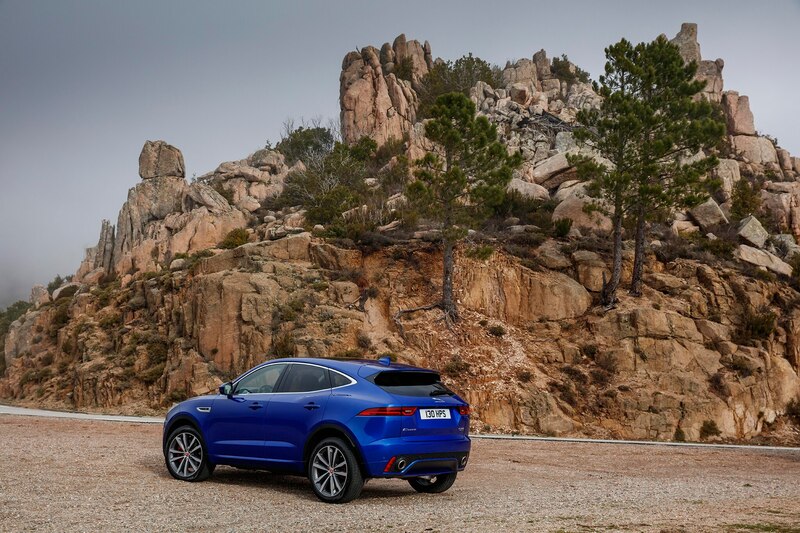 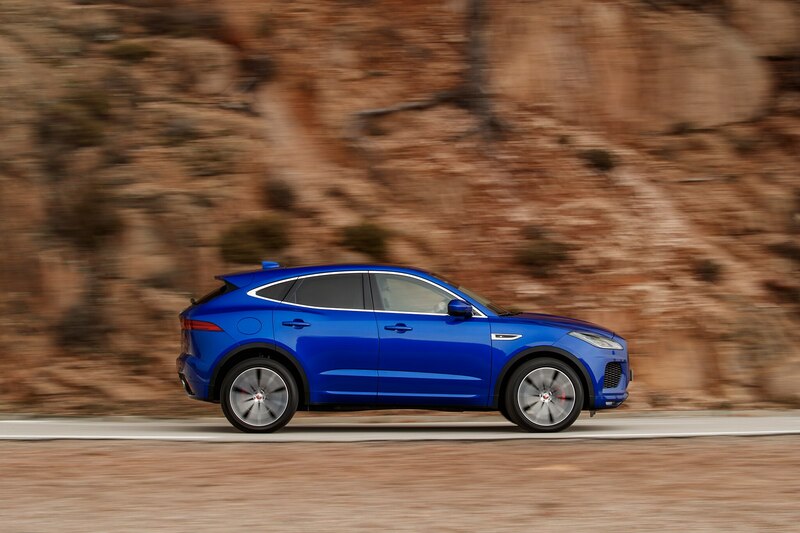 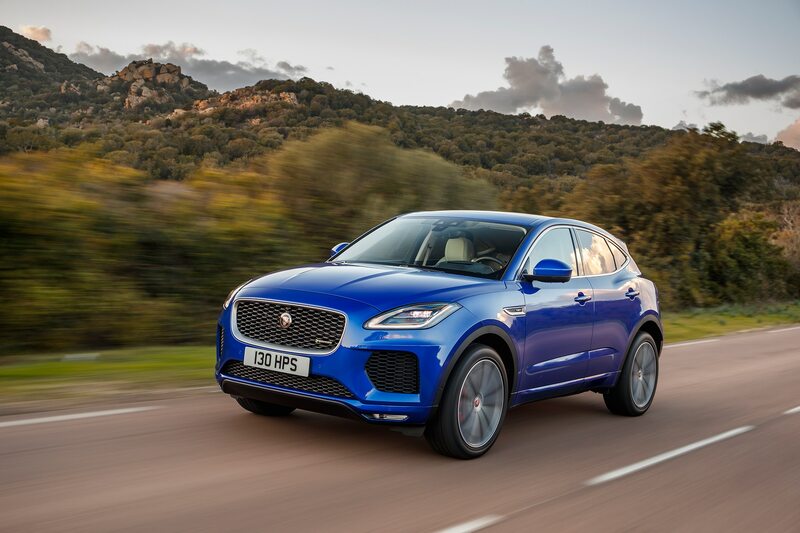 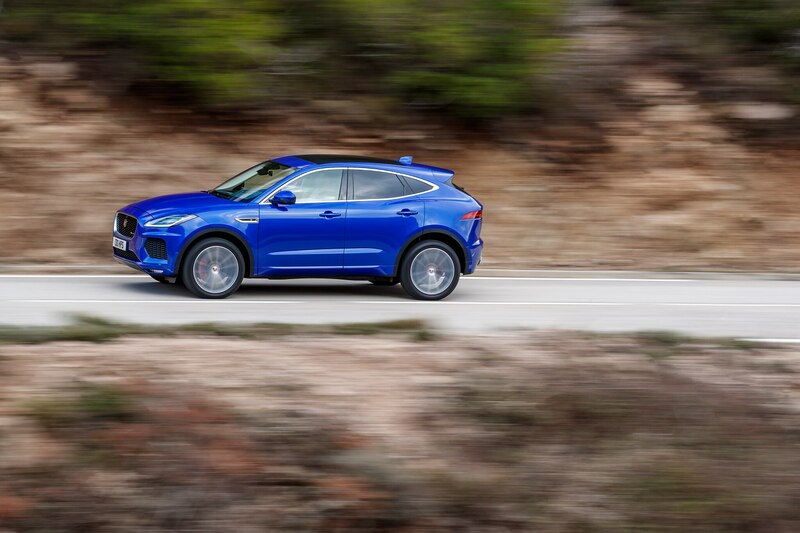 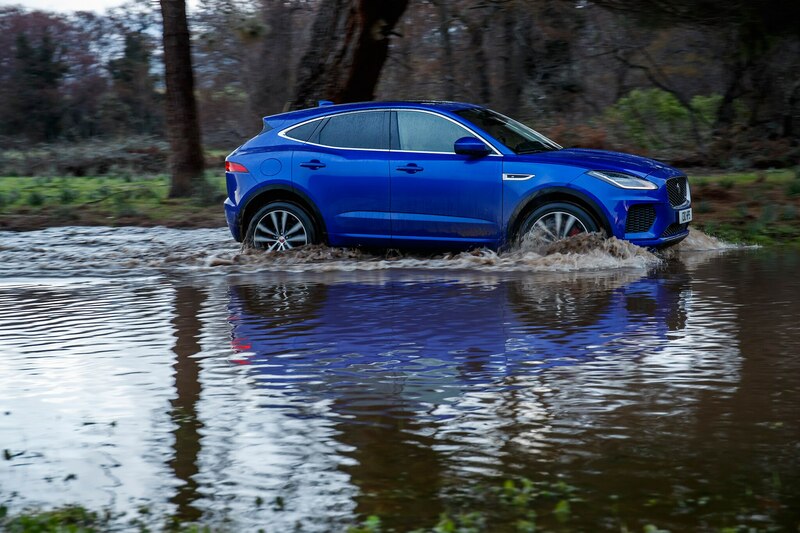 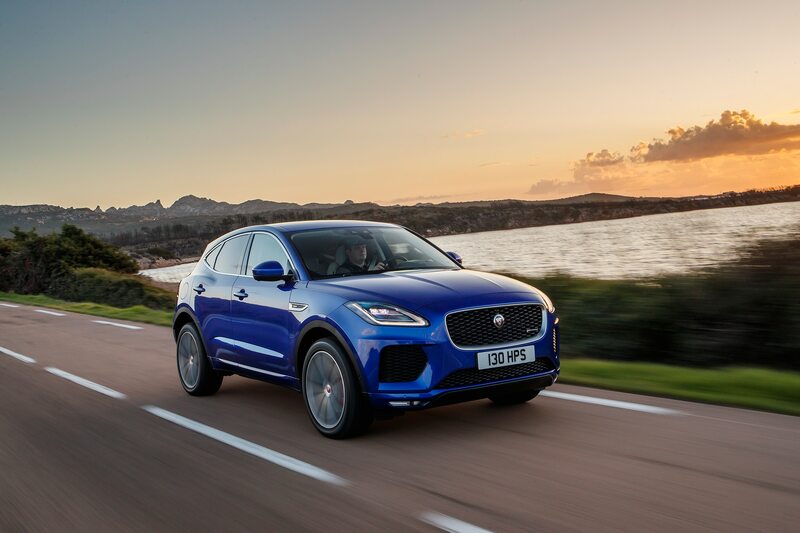 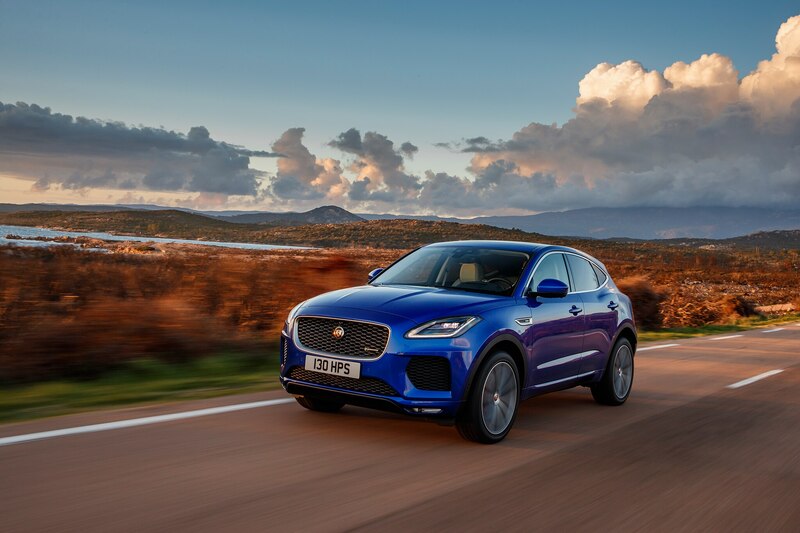 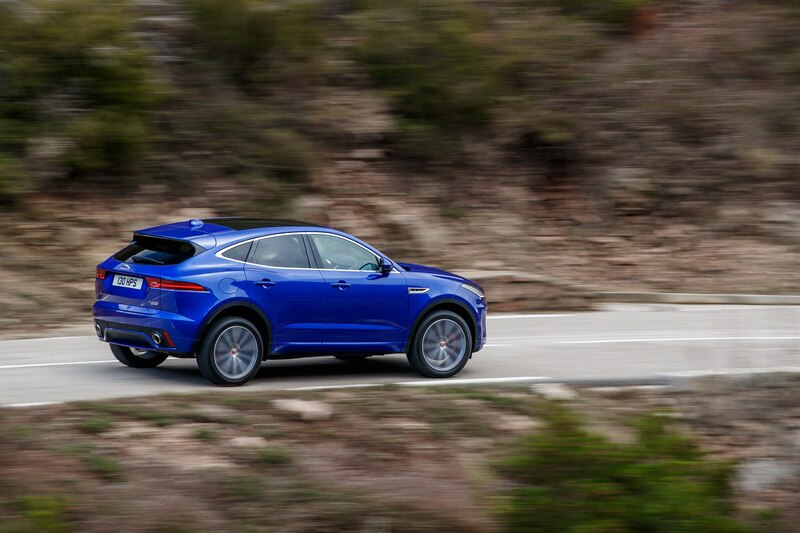 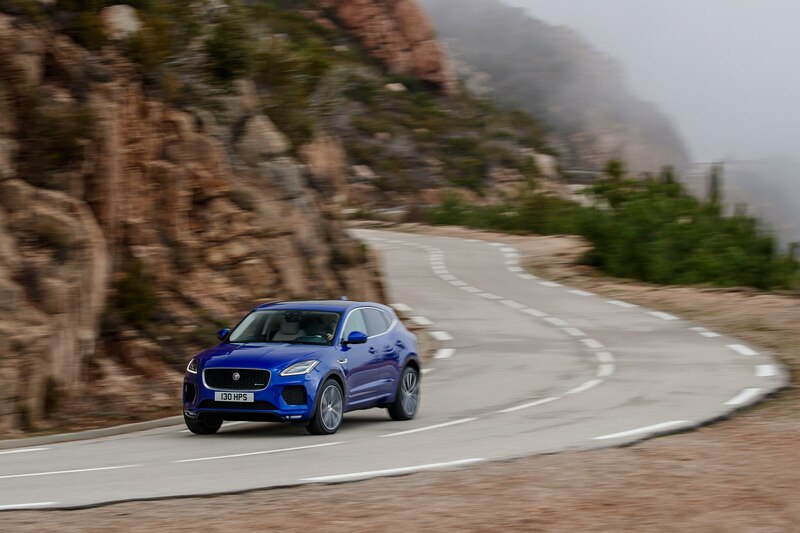 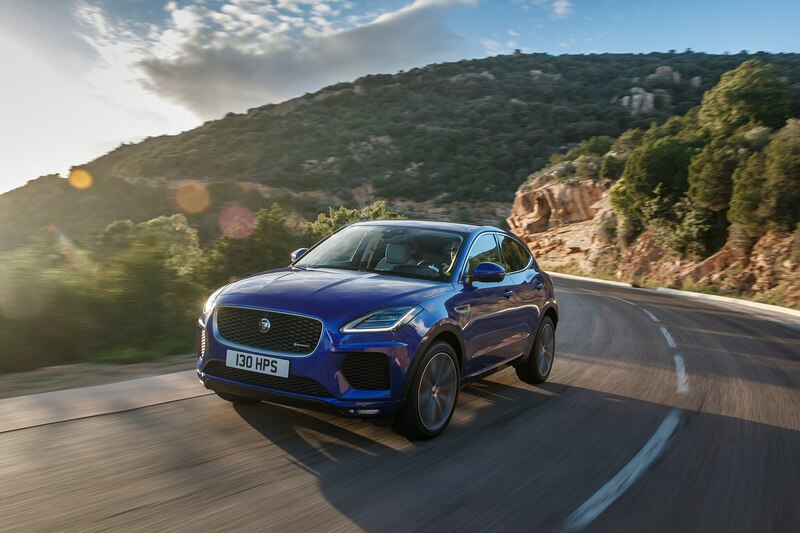 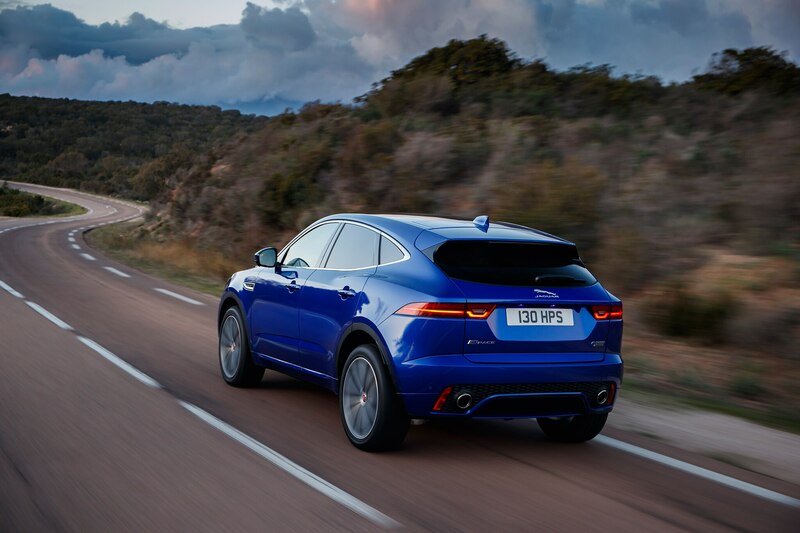 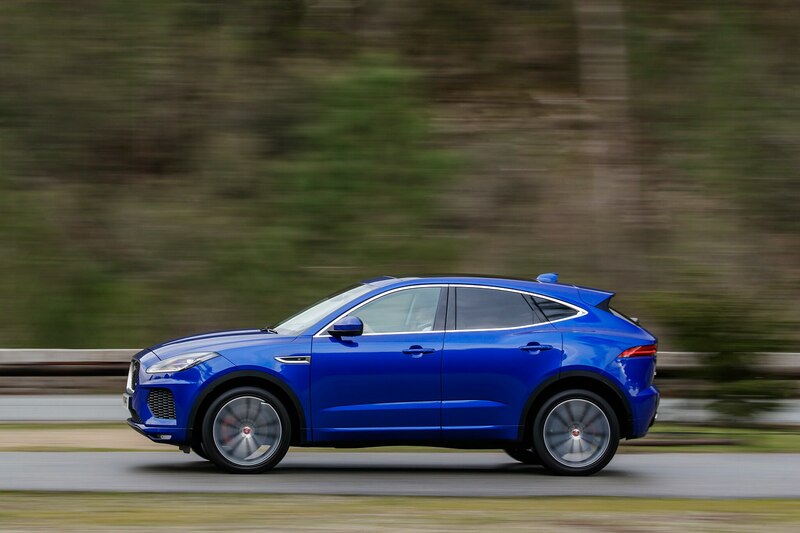 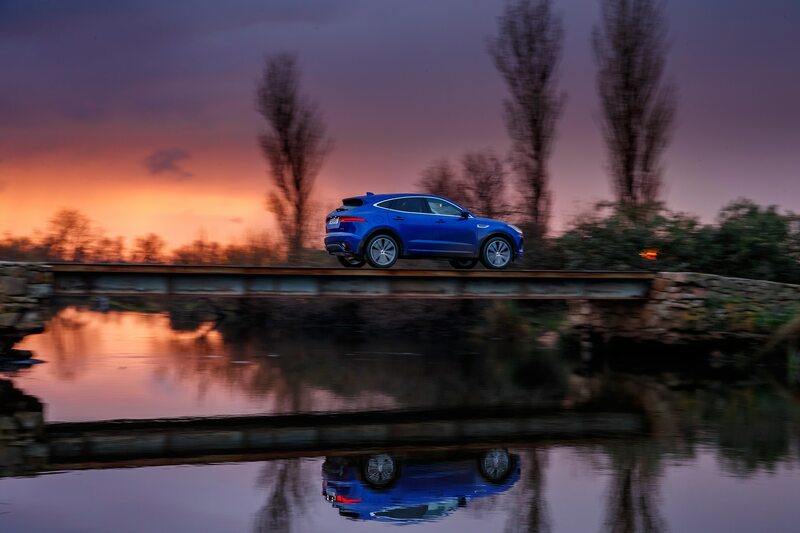 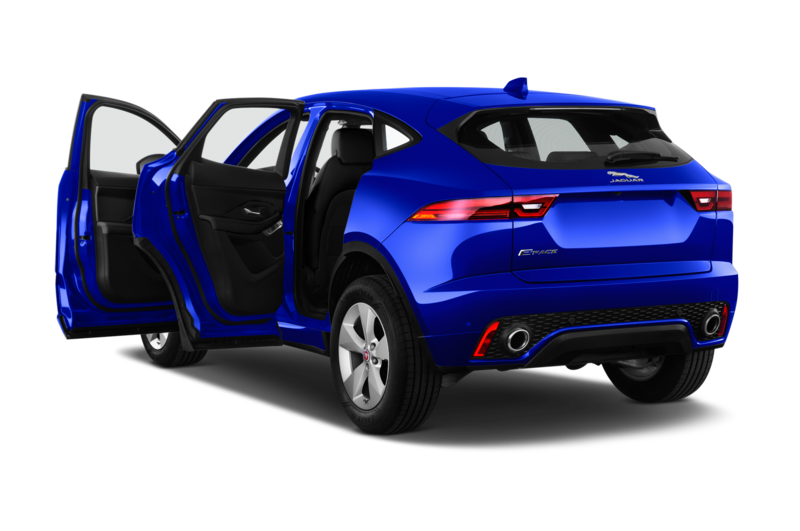 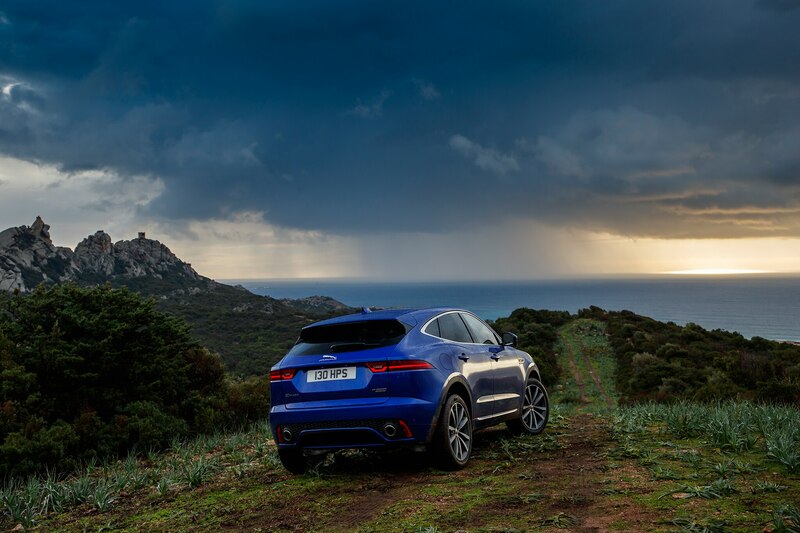 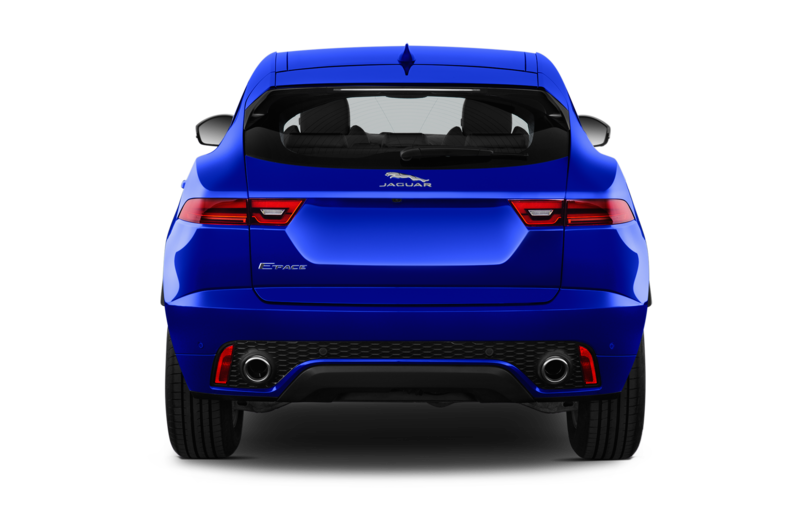 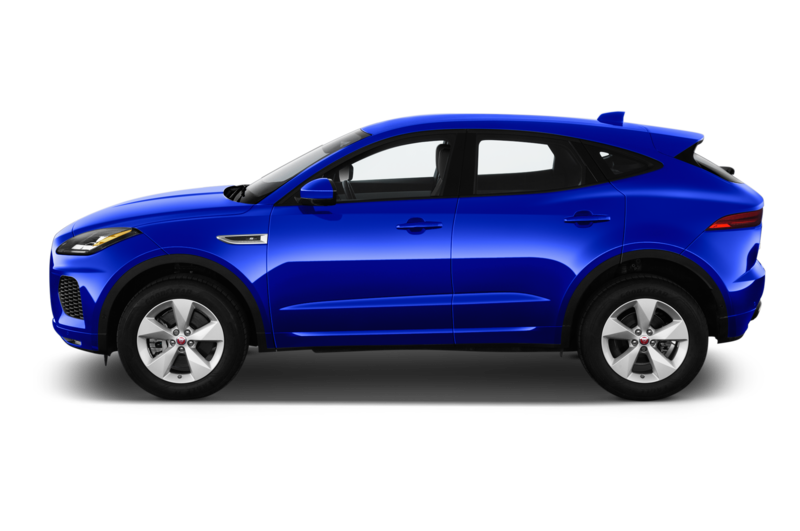 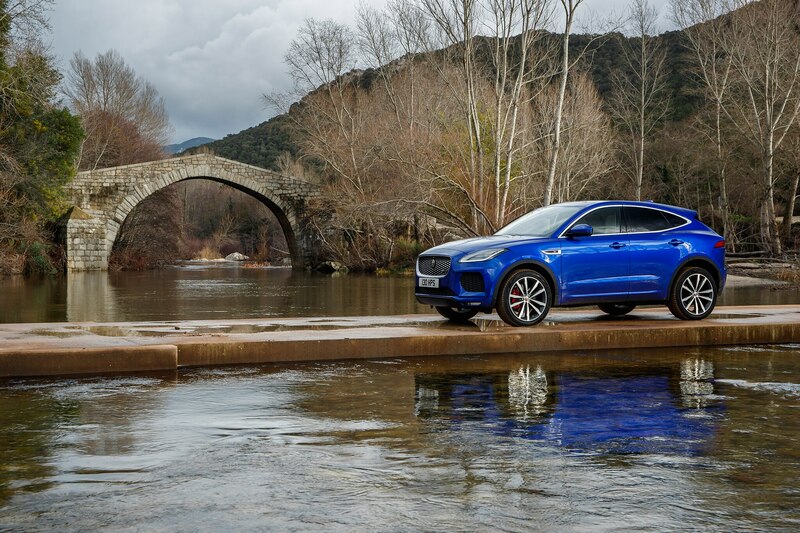 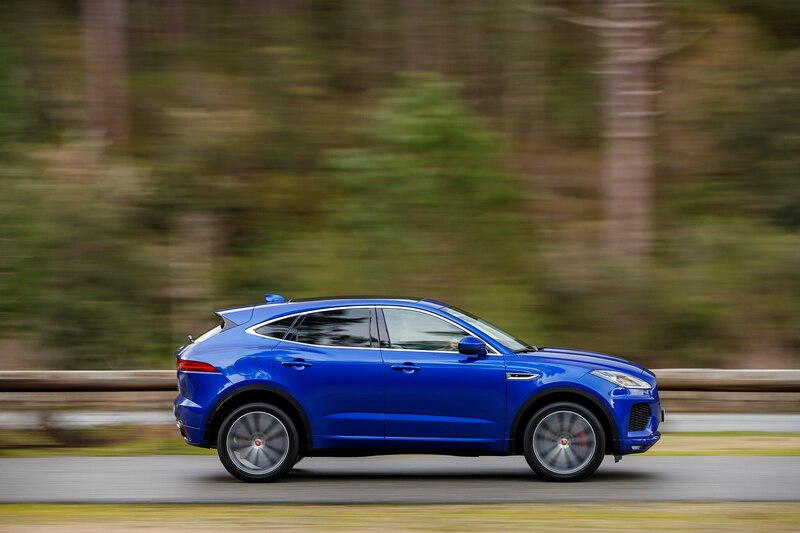 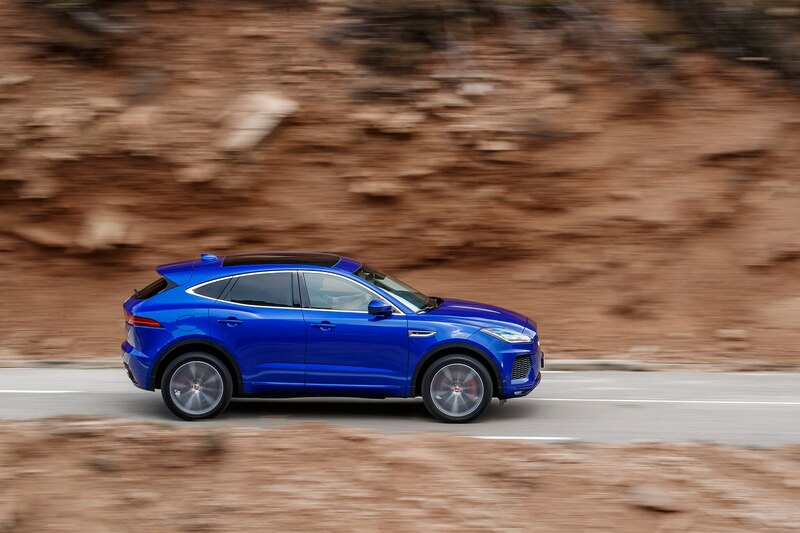 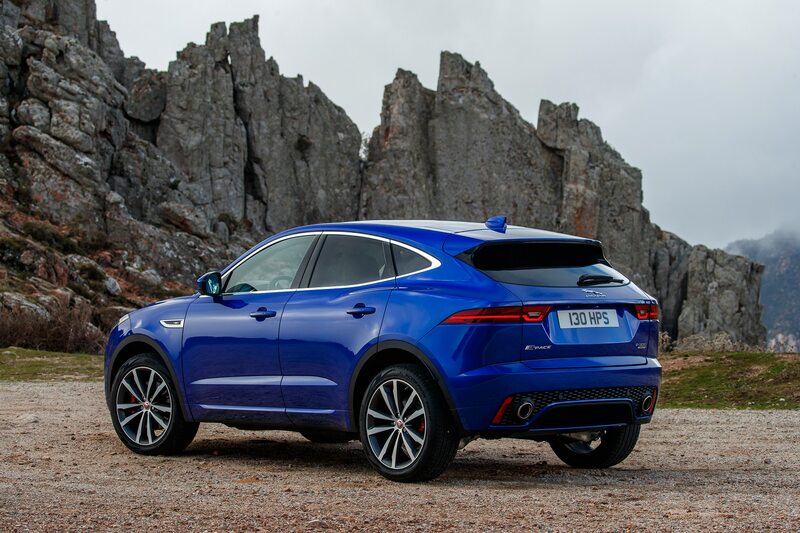 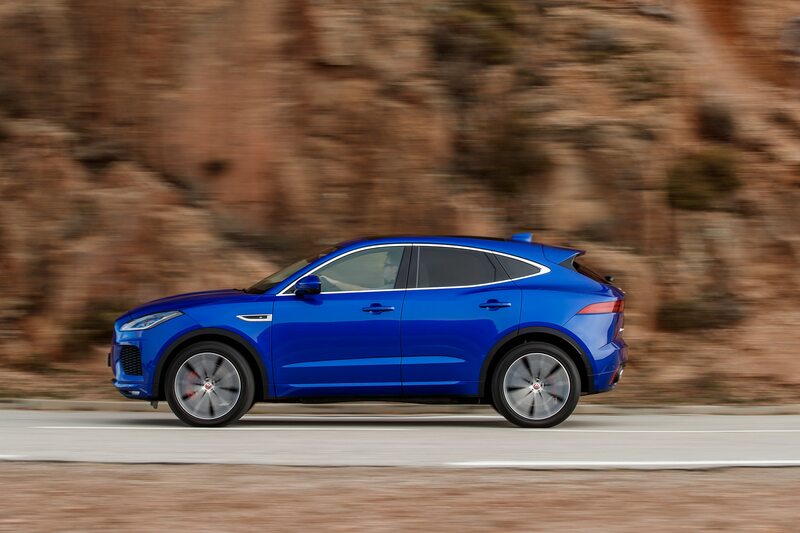 R-Dynamic versions of the E-Pace also receive Jaguar’s Active Driveline all-wheel drive system, which adds torque-vectoring functionality. 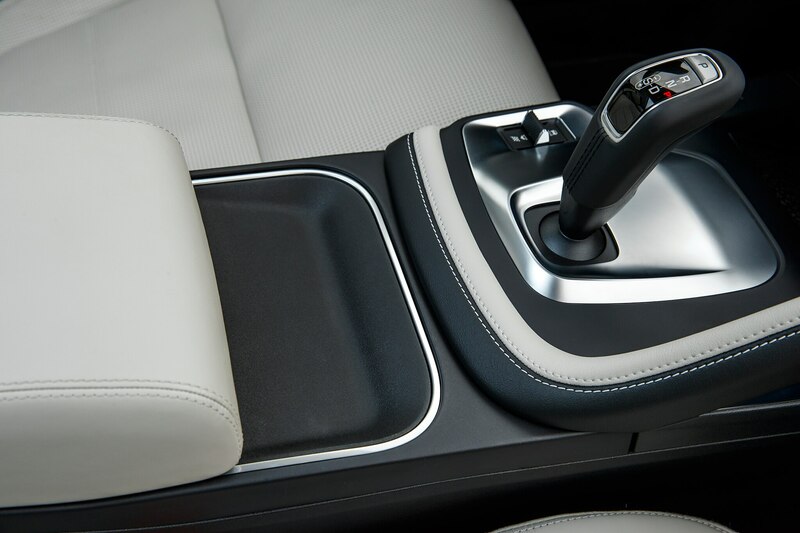 According to the automaker, Active Driveline measures yaw rate, throttle position, steering angle, and acceleration to determine how much torque needs to be sent to the outer wheels in an attempt to balance out handling characteristics. 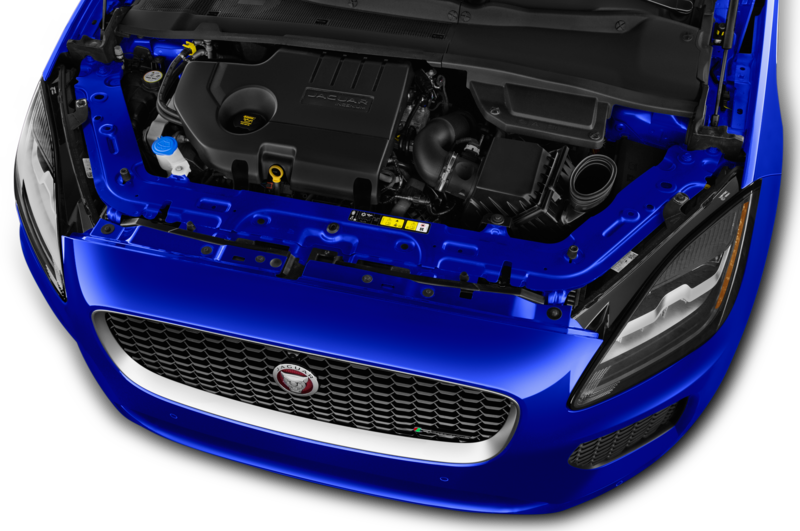 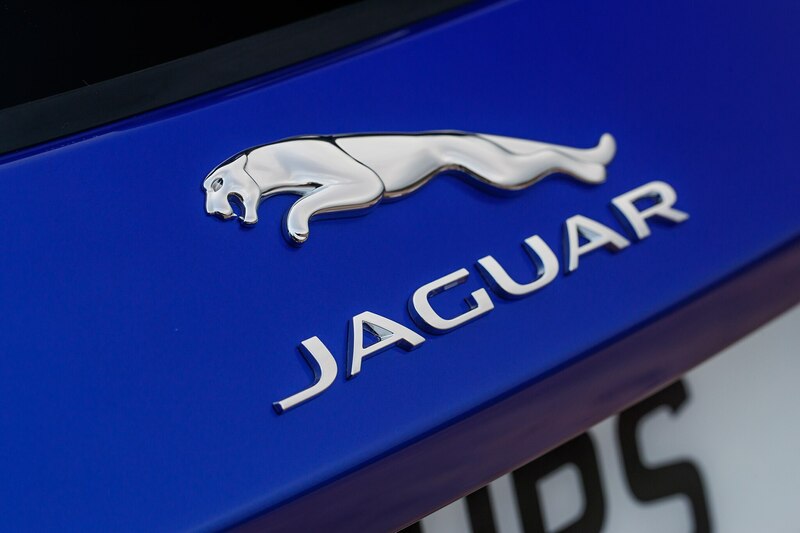 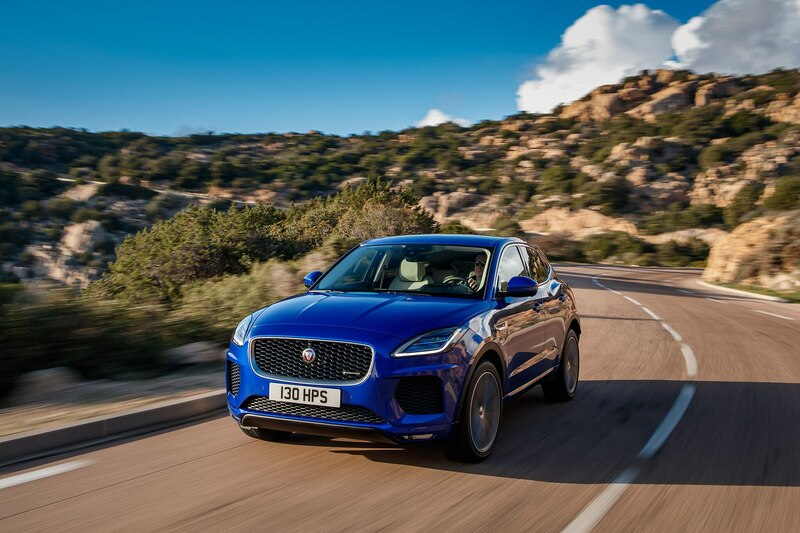 Jaguar claims that Active Driveline helps reduce understeer while providing for the ability to induce oversteer for controlled drifts in low-friction situations. 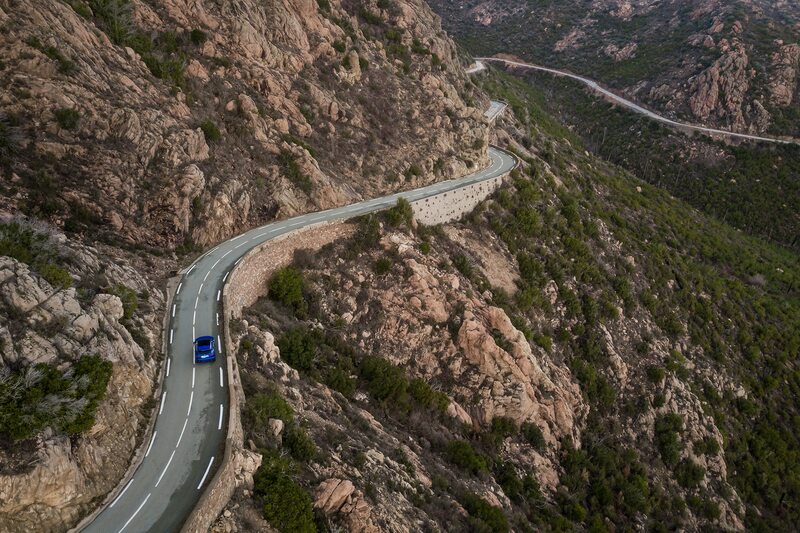 Thanks to the pouring rain that accompanied us for the entirety of our drive, such situations were plentiful—but Corsica’s narrow roads are hardly appropriate for sideways shenanigans. 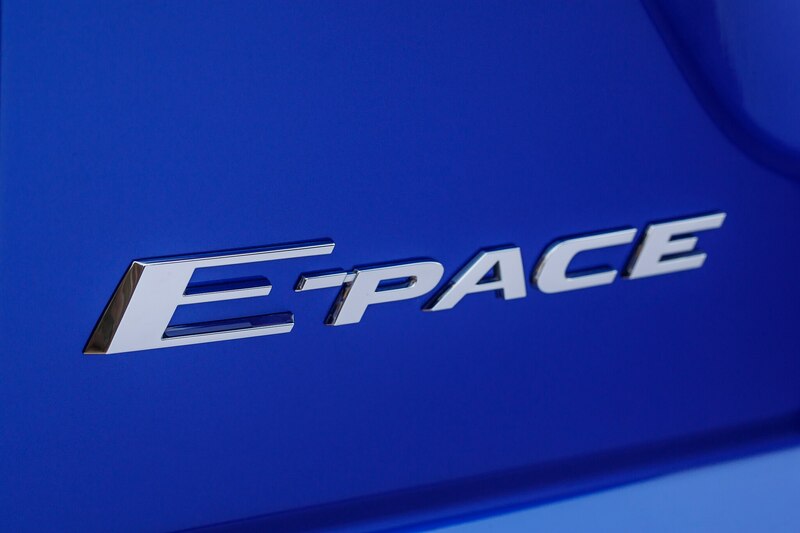 The inspiration for the “Pace” suffix for Jaguar’s SUV line comes from its old slogan of “Grace…Space…Pace” from the 50s and 60s. 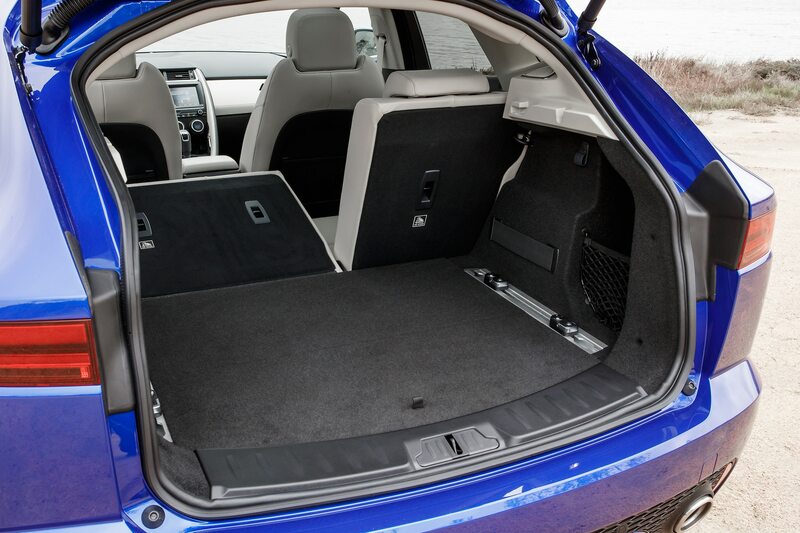 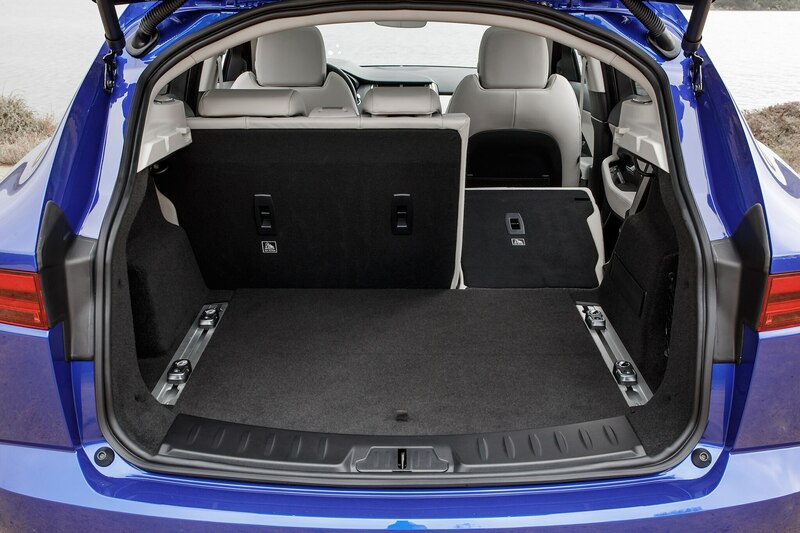 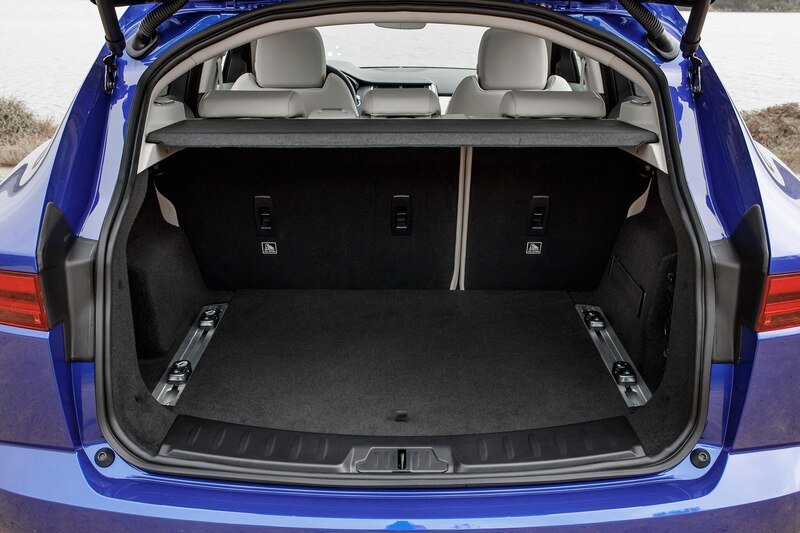 Despite its compact dimensions, the 173.0-inch-long E-Pace weighs in at a portly 4,175 lb in R-Dynamic spec thanks in part to a largely steel construction. 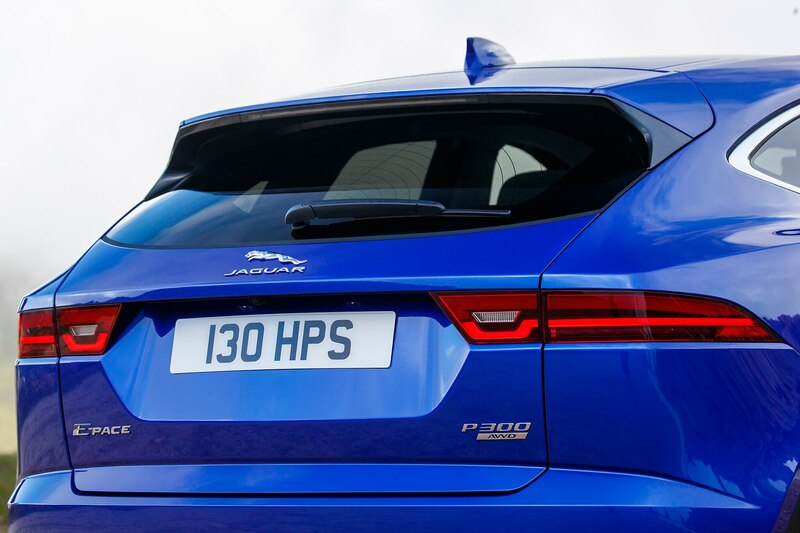 That’s a massive 500 lb more than our Four Seasons Mazda CX-5 and the Range Rover Evoque, 200 lb more than the Land Rover Discovery Sport, and even 160 lb more than the larger F-Pace. 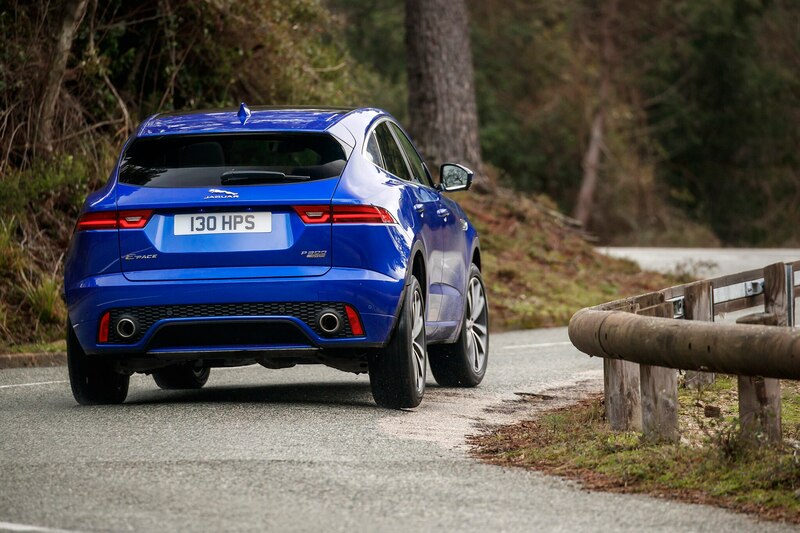 In part due to that heft and front-biased weight distribution, instead of the balanced and smooth experience we expected from our time in the F-Pace, we got plowing understeer, particularly on downhill sections. 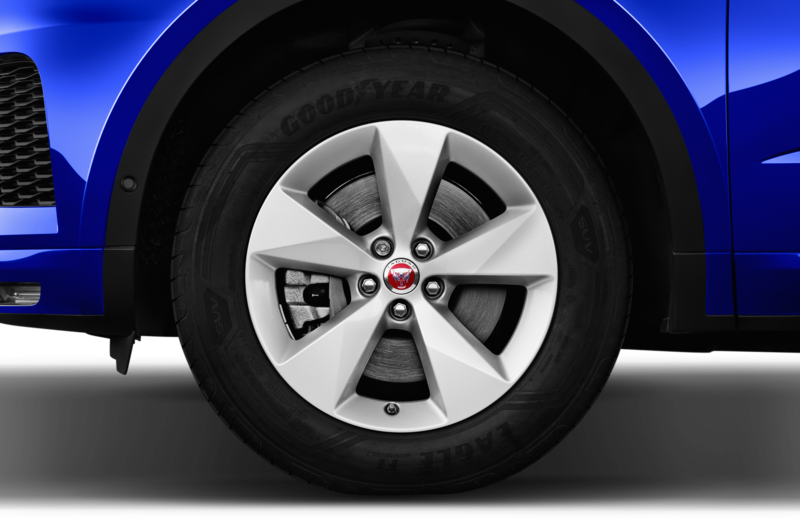 Any noticeable pressure on the brakes sent the front end downward onto the Pirelli Scorpion Zero all-season tires (curiously, there’s no performance tire option). 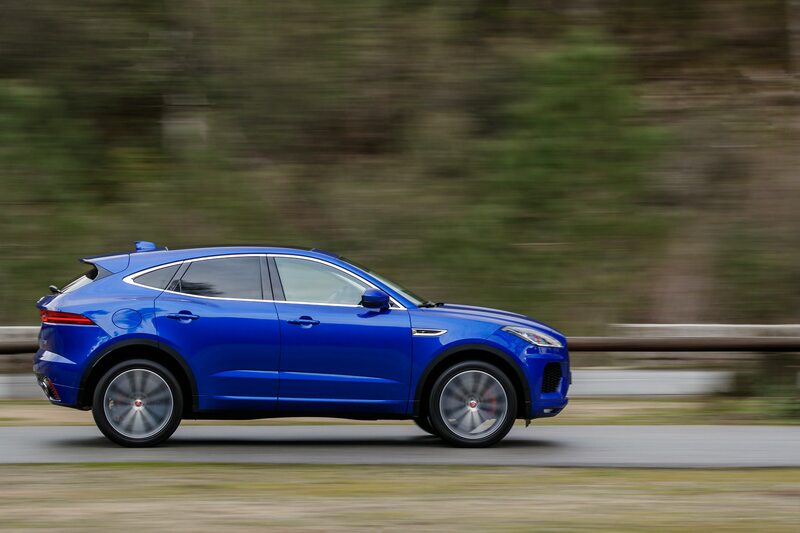 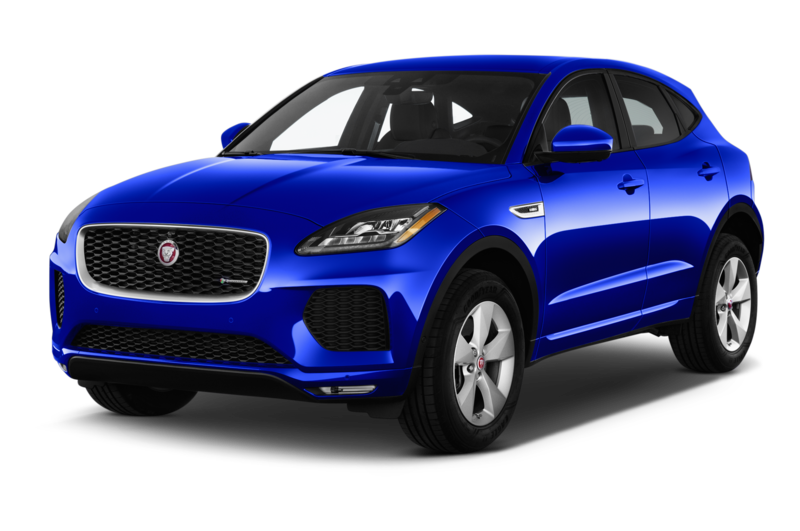 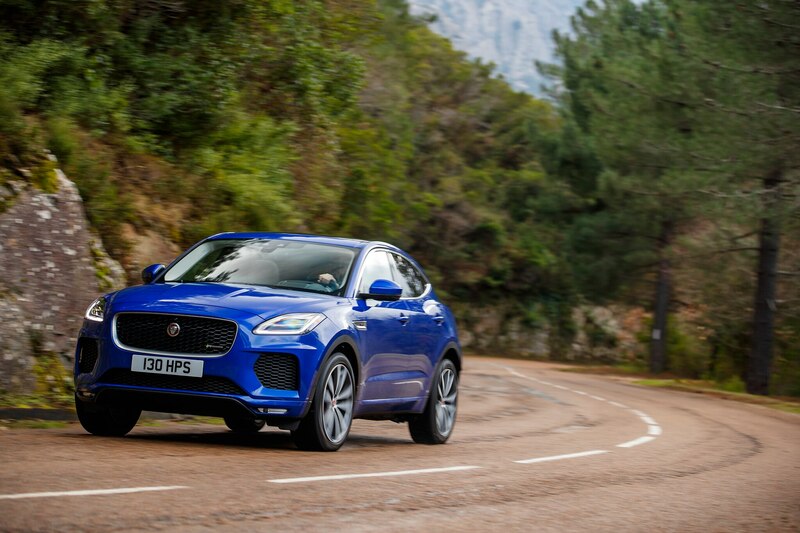 In addition, the E-Pace exhibits considerable body roll, impacting its ability to handle left-right transitions of its considerable mass. 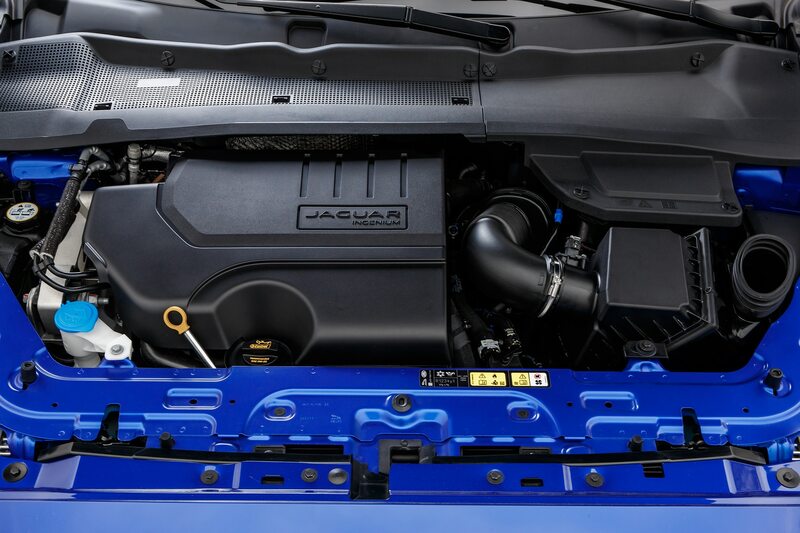 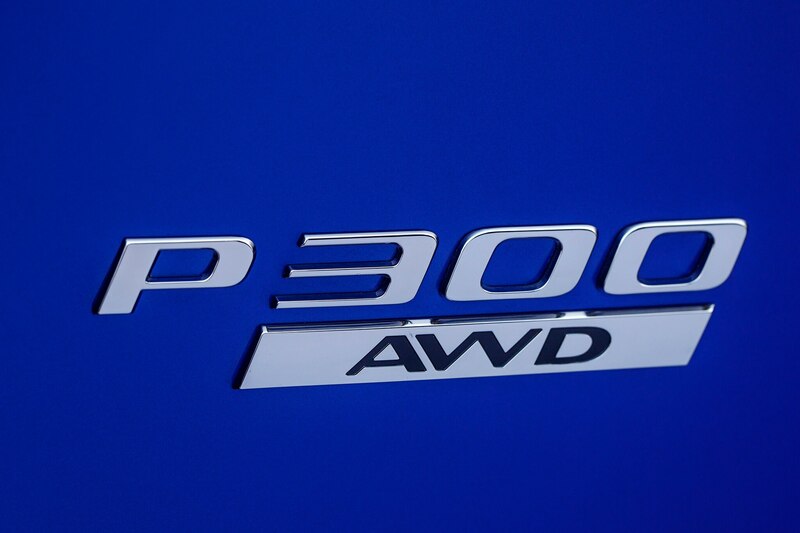 As for the engine, it won’t win any awards for refinement, but it won’t have many wishing for more power, either. 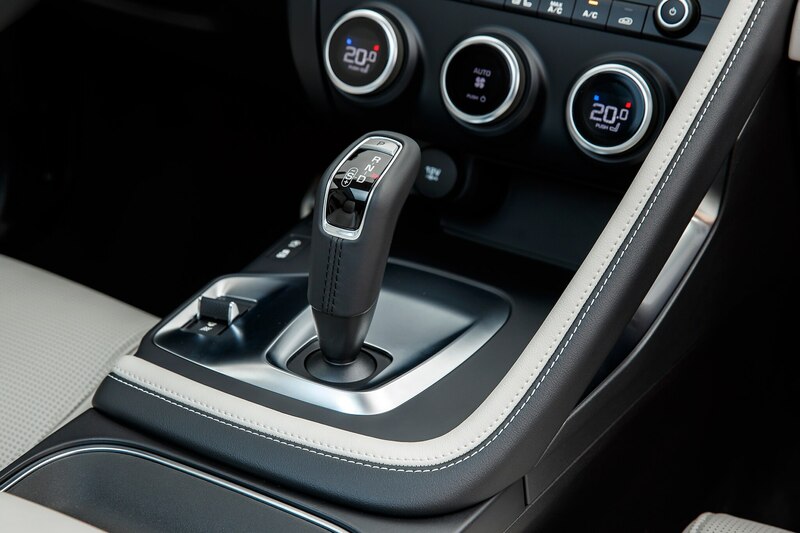 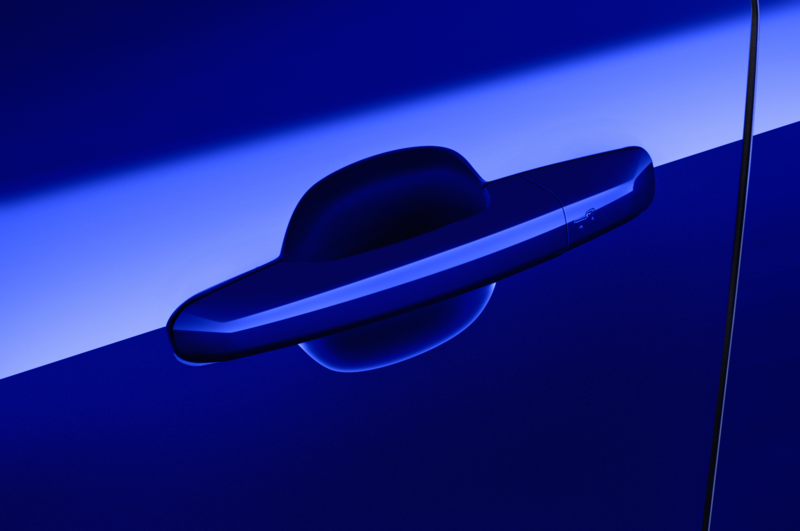 The nine-speed works well, too, shifting gears quickly and smoothly, especially when directed to do so manually. 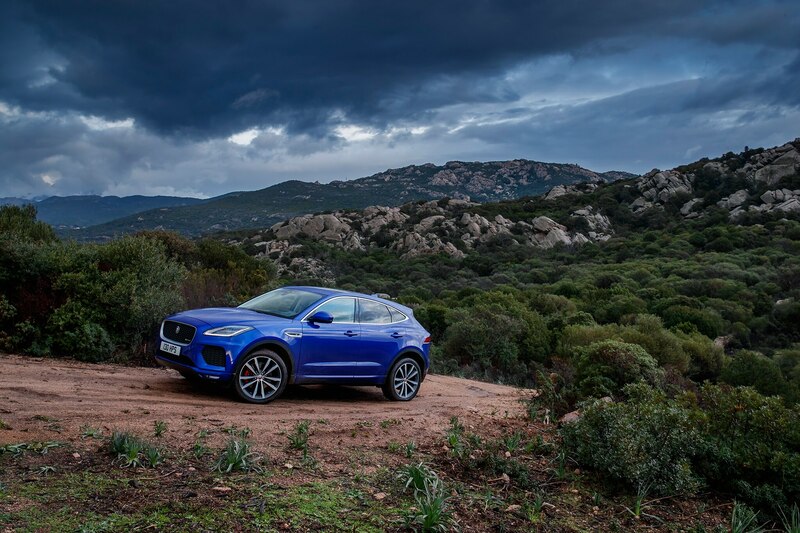 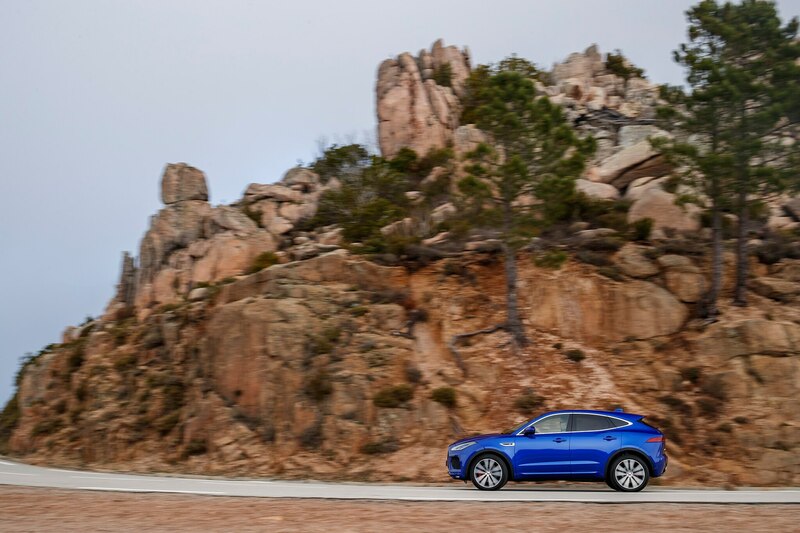 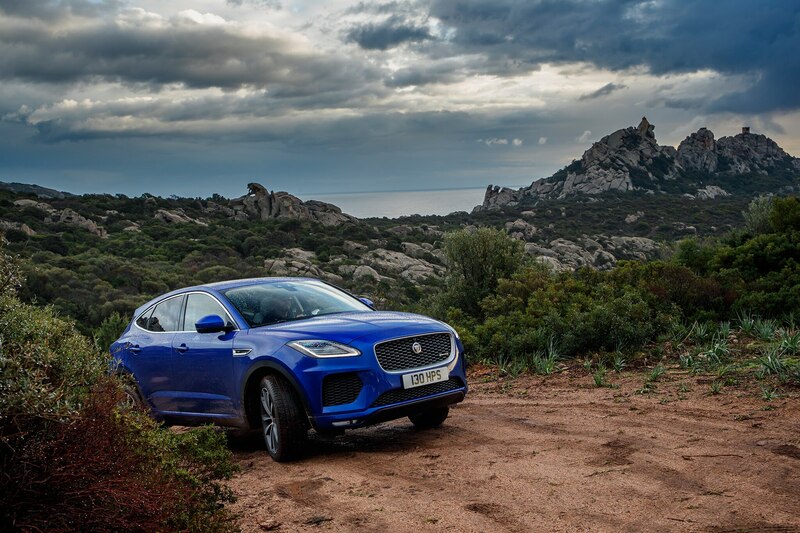 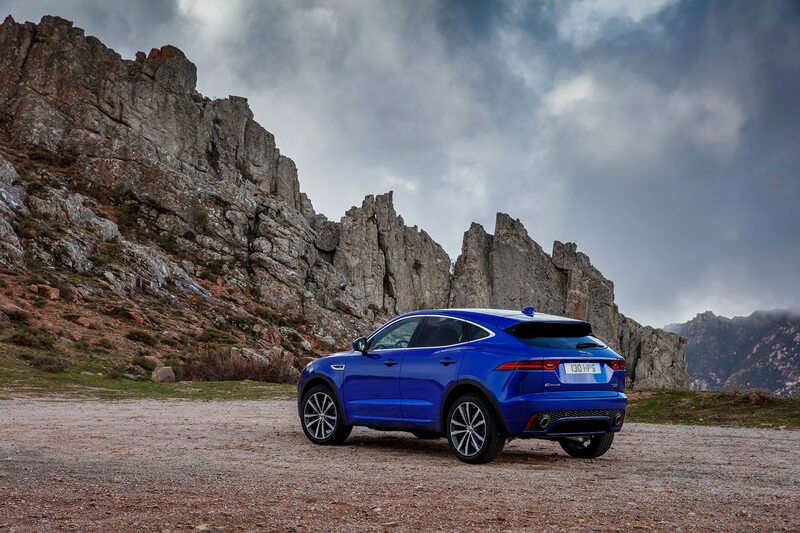 Perhaps the E-Pace acquits itself better in other settings—dry freeways should be no problem—but Corsica’s rugged terrain offers little room for straight roads, and the few that we did spend time on had frequently shifting speed limits that made it difficult to settle into a cruising groove. 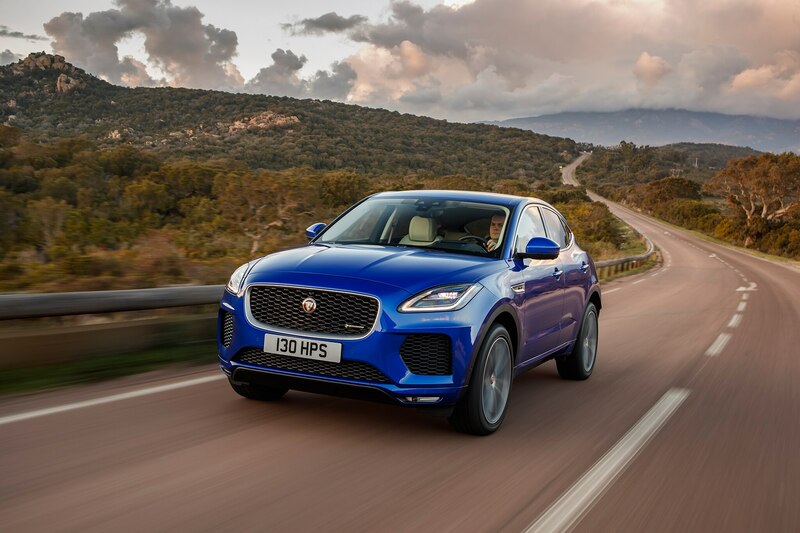 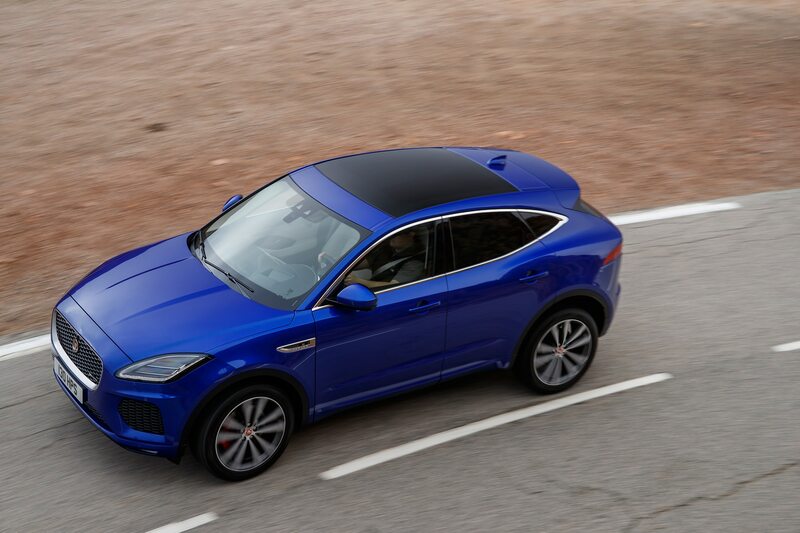 Yet, despite its flawed handling and scale-crunching weight, the 2018 Jaguar E-Pace will surely be a success. 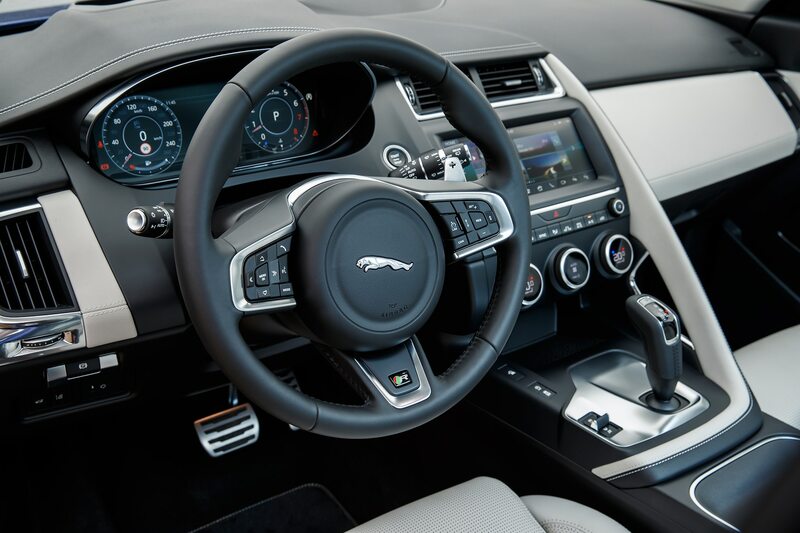 The average potential buyer is unlikely to notice either on their usual urban streets, suburban boulevards, and wide freeways. 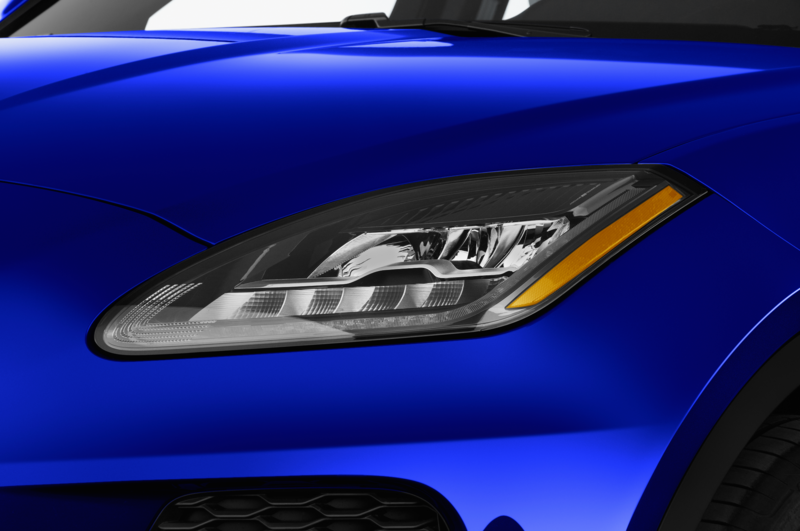 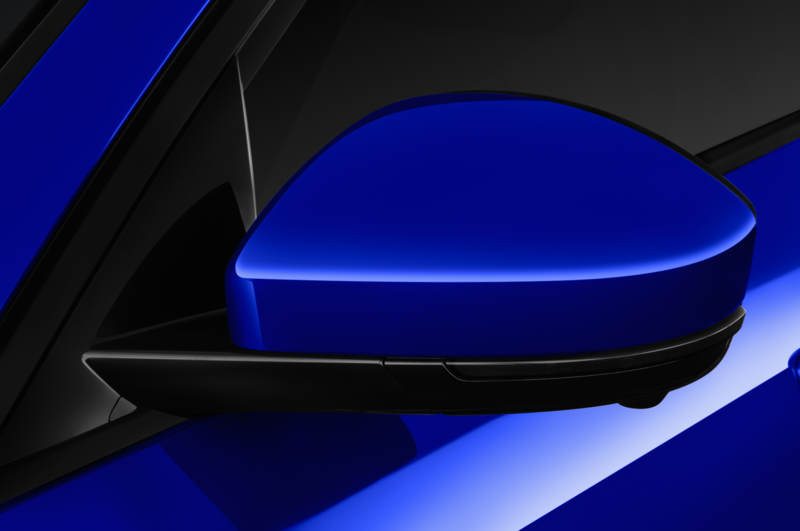 Instead, they’ll notice the sharp exterior, punchy engine, and quiet ride.